HSBCPrime.com is a domain name that has been registered by a scammer who is trying to use the credibility of HSBC while he scams you! 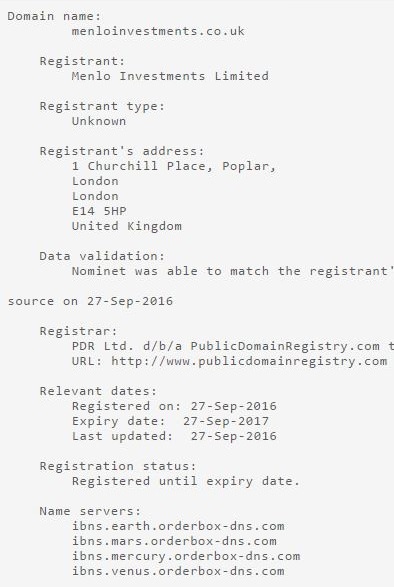 We have confirmed with HSBC Bank's, Senior Retail Fraud Risk Manager who handles Global Fraud & Financial Crime Threat Mitigation for HSBC and is based in London that HSBCPrime.com is not a domain name that is registered or used at all by any portion of HSBC Bank. It is a domain registered by a scammer who the Police are HSBC Fraud Department are now in hot pursuit of! 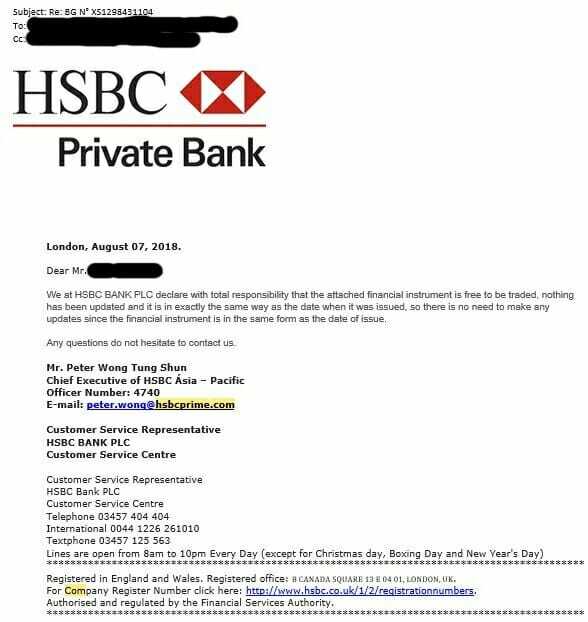 HSBCPrime.com is a scammer who has simply stolen Peter Wongs Identity from the HSBC Website here and is using that identity with a fake email he has registered to try and defraud people. Don't fall for this scam! HSBCPrime.com is hosted by a contract webserver in Spain! All HSBC.com email goes through their own secure email servers in London. HSBC bank do not use contracted 3rd party mail servers in Spain at all! 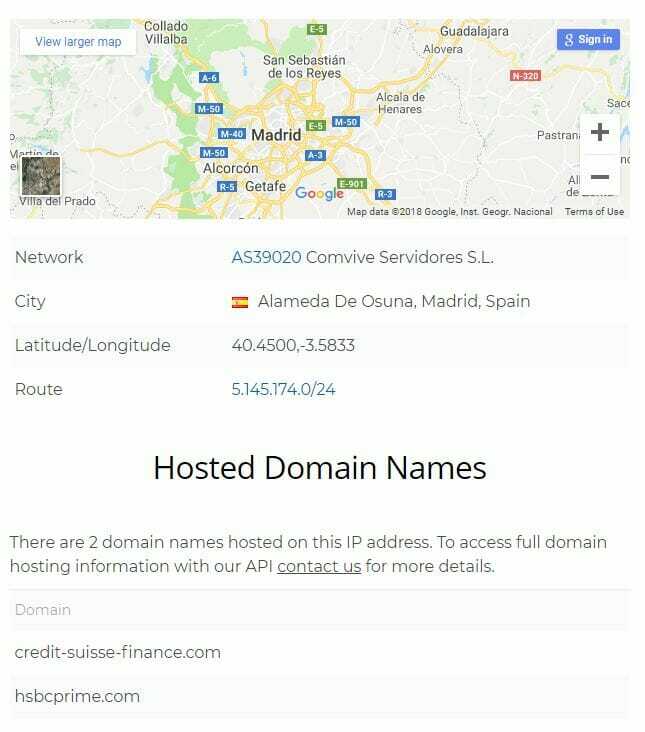 Interestingly the Spain IP address that hosts HSBCPrime.com has also registered Credit-Suisse-Finance.com which is likely also intended to be used to scam customers! BEWARE: HSBCPrime.com is NOT HSBC Bank! With 100% certainty HSBCPrime.com is NOT HSBC Bank, it is a Scammer pretending to be HSBC bank. Do not do business with anyone from HSBCPrime.com, do not give money to them. 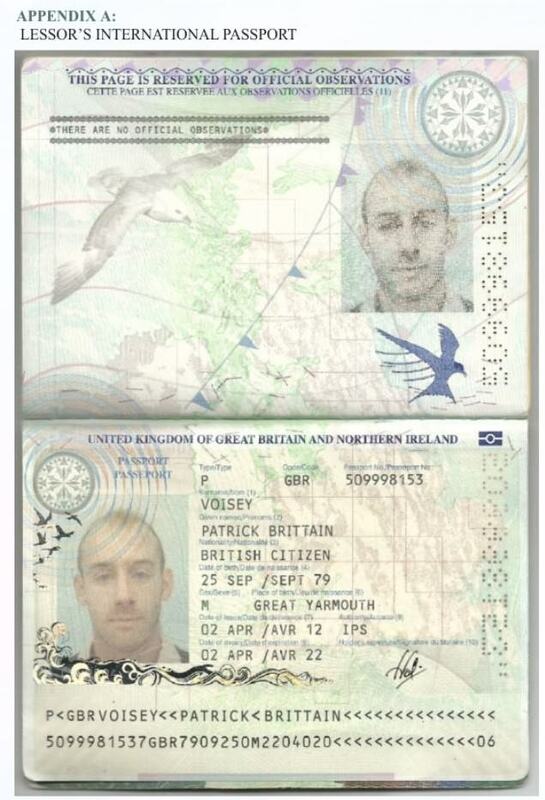 Exposing the Pretend Euroclear Banker! The Pretend Euroclear Banker is a new and alarming trend. On a regular basis we receive emails from Bank Officers for Standby Letters of Credit or Bank Guarantees that have been spoofed by Scammers. Email Spoofing is the practice of sending an email and making it look like the email is from someone else eg Paypal or a Banker. 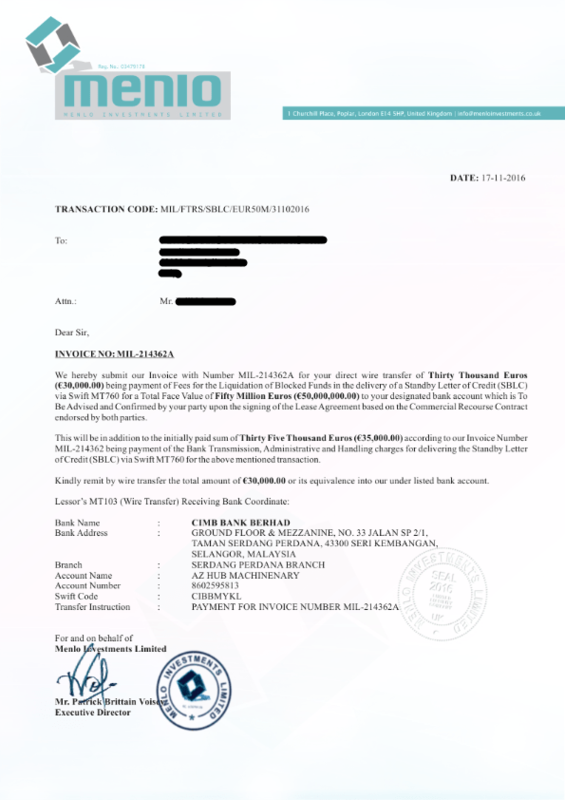 Its incredibly easy to spoof an email for a Standby Letters of Credit, Bank Guarantee or any Financial Instrument and pretend to be a Euroclear Banker or someone else. The Google App Store has at least 10 FREE Android Apps that allow you to spoof an email. Those apps are called: Email Spoofer, Fake Email Sender, Spoof Mailer, Anonymous Email,Spoof my Email, Hoax Mail, Fake Mail, Instant Email, Fake Mail and Spoof Email. So email spoofing is very common and very easy to do! 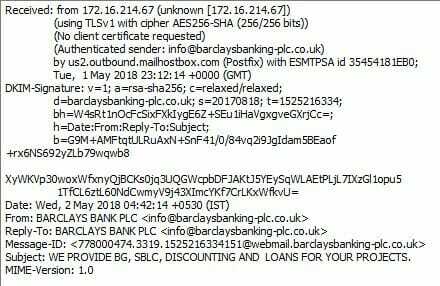 Most scammers ping a banks email server trying different email addresses until they find an email address that isn't used by the bank and the scammer then uses that address using his free spoof email program and sends clients email as if it is from the bank. Its a dangerous practice that has tricked many clients in to thinking they are receiving legitimate email communication when they are not! Th Pretend Euroclear Banker email below is the first email we have received that is a spoofed email from a scammer pretending to be a Euroclear Banker! This is a new trend and is very concerning. So if you get an email from Nadia Notarrigo using the email addresses of nadia.office@euroclear.com or nadianotarrigo@protonmail.com BEWARE! Its a Scam! She is a Pretend Euroclear Banker. Nadia does NOT work for Euroclear, does NOT represent Euroclear and isn't a Bank Officer at all. Nadia Notarrigo is just a Wolf in Sheeps clothing trying to fool you using an easy to use Email Spoofing Application so she can give you a false sense of confidence on your Standby Letters of Credit, Bank Guarantee, MTN, LTN or Euroclear transaction. The entire reason banks no longer use email as part of any financial instrument settlement process is because bank emails are no longer considered a secure form of communication because that are spoofed so regularly. Stay away from the Fakes and only use real genuine and authentic companies like Secure Platform Funding. Financial Instrument (Standby Letter or Credit & Bank Guarantees) Failures Exposed! 2. 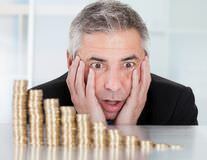 Greed Freaks – People get blinded by Greed and the possibility of becoming an Instant Millionaire, so they stop thinking Rationally and Clearly. They stop being careful and start being careless which causes them to not see all the obvious warning signs that lead right to a scammers front door. 3. Speed Dating – People that have never closed a real transaction before create a complex set of financial instrument procedures and then engage 55 brokers to trawl the internet as a their speed dating service trying to find another party to match their procedure. This is the playbook of an amateur who has as much chance of winning the lottery as he does changing the whole financial instruments industry to solely work with his isolated ill-conceived procedure. 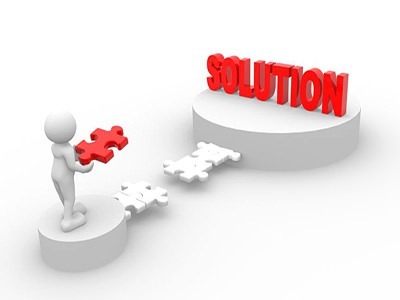 Secure Platform Funding has designed this Managed SBLC Program to help you avoid the above mistakes and to help you achieve a safe successful authentic funding solution. Read the full details about the Managed SBLC Program here. Offering a BG and SBLC issuing price of 3%+1% that is so cheap no bank in the world could supply a real instrument at that price. Incredibly.... Despite all of these OBVIOUS Warning signs, in the last 4 weeks we have been contacted by at least 1 Hawkins Funding client EVERY WEEK that has LOST ALL THE MONEY they paid Hawkins Funding and been Totally Scammed! Greed blinds common sense! The Scammers Number 1 Tool is to sucker the price shoppers, cheapskates and tightwads who want a "bargain" BG or SBLC price and lure you into the scammers trap. The scammer is more than happy to offer you a Barclays BG or SBLC at 3%+1% because the scammer knows he isn't providing ANYTHING! 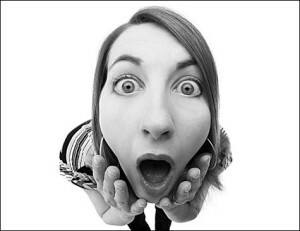 The false sense of security that is created when a client (victim) mistakenly thinks he has a bargain price soon turns to reality when he realizes he just paid for a very expensive lesson on how greed destroys common sense. 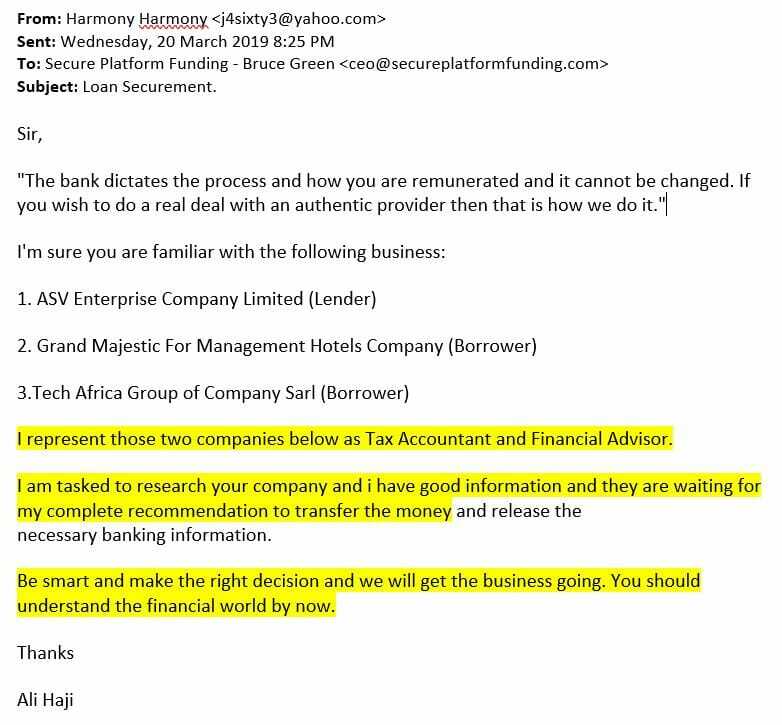 The Number 2 Tool in the Scammers Toolbox is to agree to everything you want in the Bank Guarantee / Standby Letter of Credit Issuing Agreement. 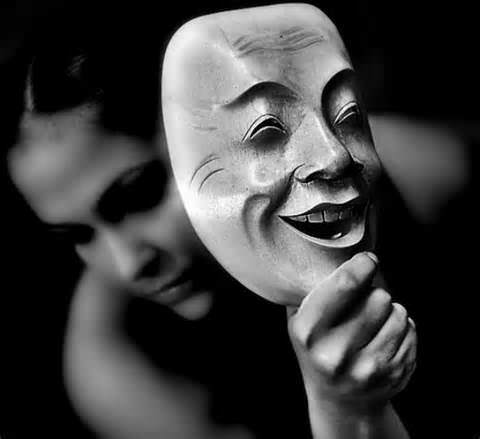 The scammer will happily let you feel like you are winning and that you can have the exact Mt760 and Mt799 verbiage you want, the terms you want and the penalty clauses you want. 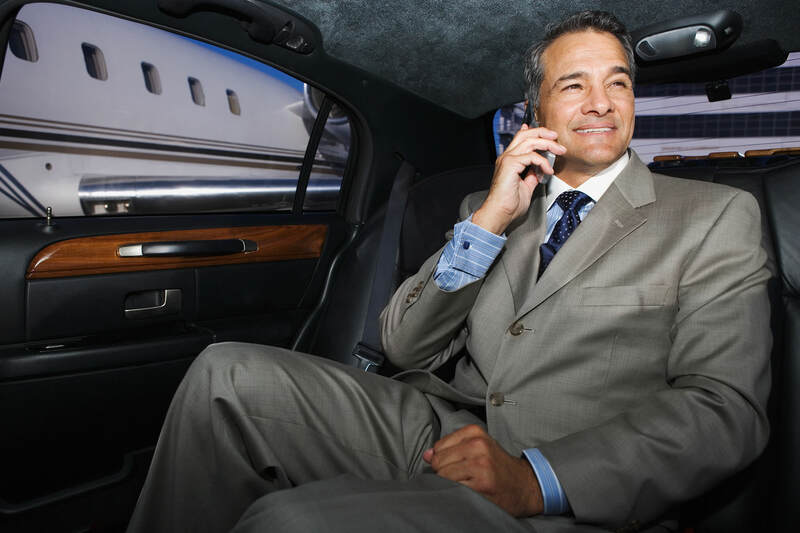 The scammer gives you all you want to make you feel safe, secure, comfortable and in control! When the truth is you aren't in control, the scammer is in control and like the snake in the Garden of Eden he is tempting you and telling you everything you want to hear so you can pay him and then he will vanish with all your money. The Facts About the Hawkins Funding Scam! 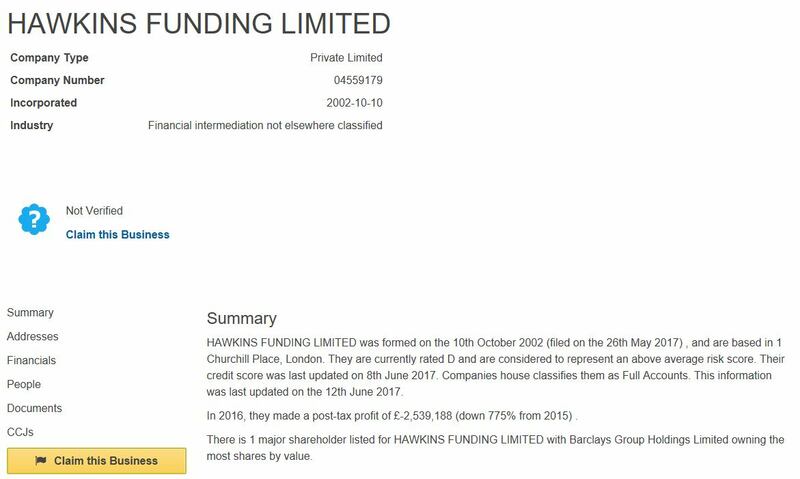 Hawkins Funding is a real company, and it is really is owned by Barclays. 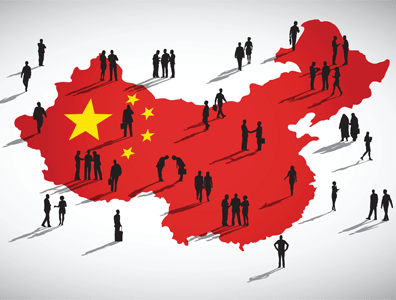 The problem is scammers have hijacked the company! 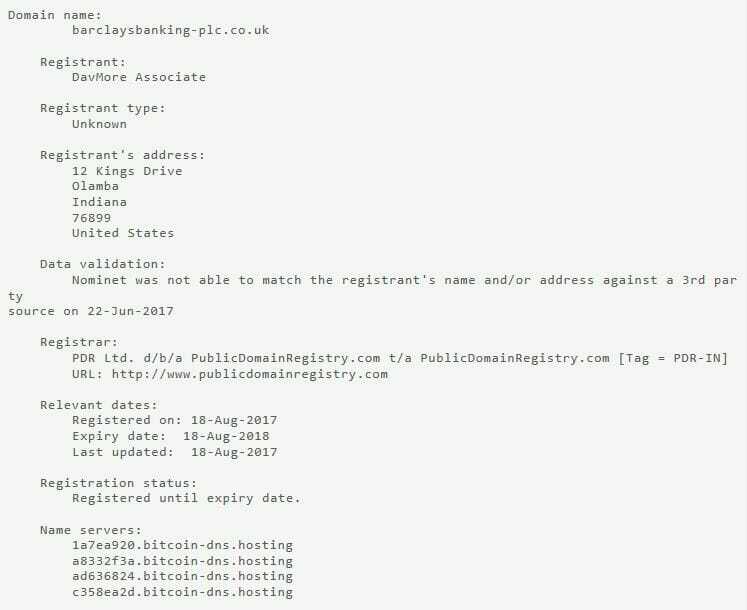 What i mean by that is.... Scammers have obtained Hawkins Company records and are using them to create a cover of authenticity, they added to that registering a hawkinsfunding.uk.com email address which is solely used by the scammers and you have the perfect charade! 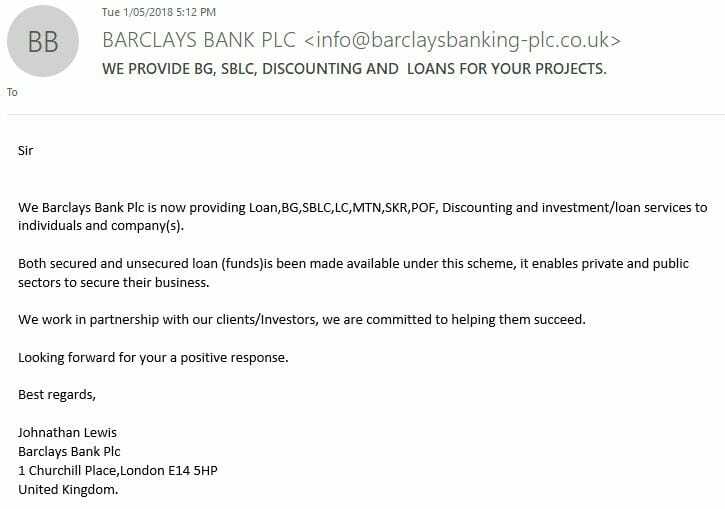 These same scammers have done this twice before with two other Barclays companies at he same registered address as Hawkins Funding, read all the details on Menlo Investments & Long Island Assets. 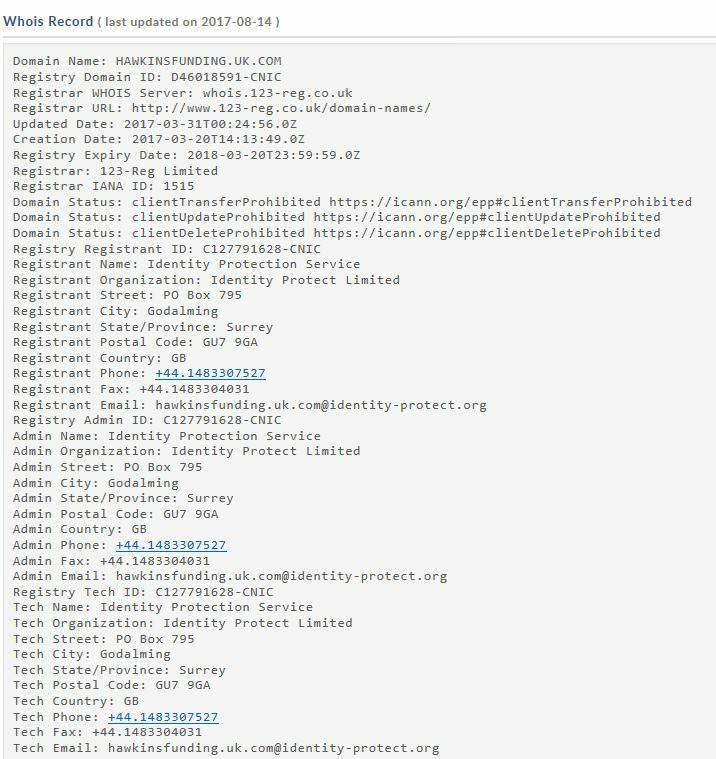 Interestingly on the 16th of January 2017 we publicly exposed the Long Island Assets scam and within 8 weeks of our exposé and public warning the scammers registered hawkinsfundings email domain and switched to it, immediately starting to use Hawkins Funding as their primary scam vehicle. Walk into Hawkins Fundings offices at 1 Churchill Place in London and show them the documents you received from hawkinsfunding.uk.com email address. The real Hawkins Funding office will immediately confirm those documents were never issued by them and that their business has nothing to do with issuing any kind of financial instruments. 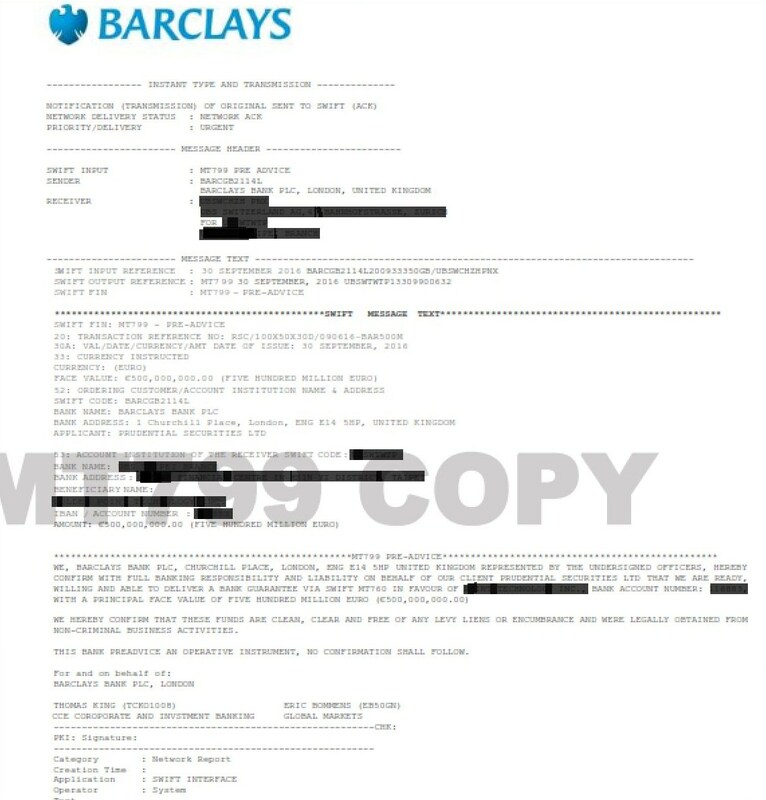 Email your DOA to the Barclays Fraud Department and ask then to confirm Hawkins Fundings Barclays account number. They will confirm its fraud. Email or phone the scammers contact details and ask him to meet you at the Hawkins Funding Offices at 1 Churchill Place in London. The scammer will never turn up! NOTE: None of the names, email addresses or phone numbers operate from the real Hawkins Funding offices at 1 Churchill Place in London! Below is Hawkins Fundings LinkedIn Profile, its a joke! No real company that has been operating since 2002 as a Barclays subsidiary has 28 followers! This is a quick cheap profile established by the scammers just a few months ago to sucker in customers. Robert is based in Liverpool but Hawkins Fundng is based in London! Robert is a Finance Manager for a Barclays subsidiary and he cant take a even slightly professional or clear photo of himself! The glass bullet hole on his photo is particularly amusing. Robert seems to have failed at school because he doesn't know to put Capitals in the start of his name or a space between Robert and Blackburn. Barclays would never allow this level of unprofessionalism. Robert doesn't know how to put Capital Letters on the "hawkins funding ltd" company name either. Robert seems to have no employment history, no credentials, that is because Robert isn't real at all! 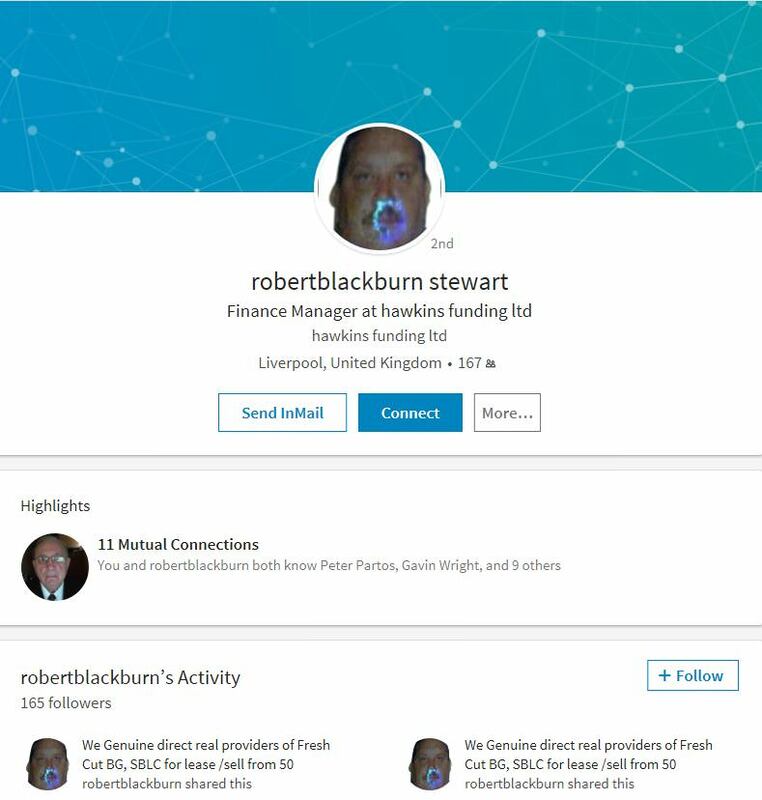 Robert is a bit lonely, he only has 167 friends on linked in..... that's because he is a scammer that only recently loaded this profile! 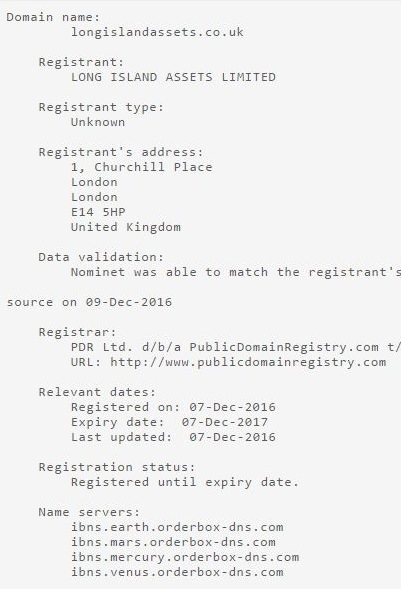 Ask yourself..... All the records about Hawkins Funding are public records, so why would someone go to all the trouble they have below of hiding who registered the internet domain name hawkingsfunding.uk.com on the 20th of March 2017. Answer: Because a Scammer registered it to use it! Check Business UK Rate Hawkins a D! Read there report below..... And don't you think a company issuing BG & SBLC for Barclays Bank would be making more than a 2.5 Million Pound LOSS! 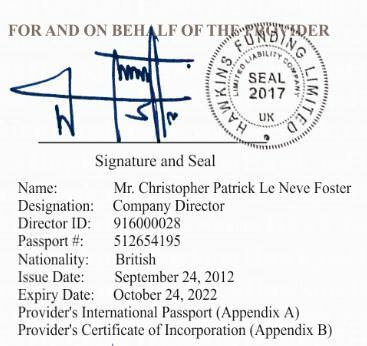 The real Christopher Patrick Le Neve Foster works for the real Hawkins Funding and if you meet him he will confirm to you that he has never seen your DOA, nor has he signed your DOA. 3%+1% is the most foolish, insane, impossible price that no "real" provider in the financial services industry can even deliver an instrument for. This just shows you how desperate the scammers are to lure you in with promises of a nice cheap deal. 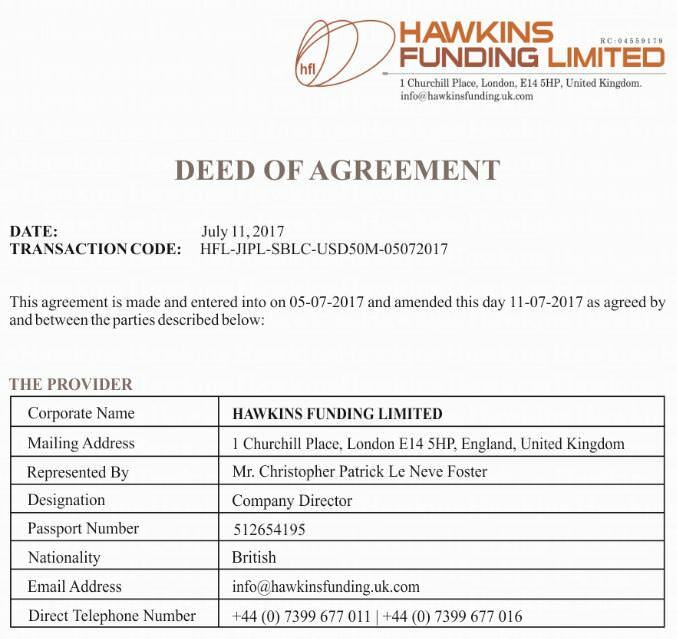 Hawkins Funding was incorporated in 2002, so why are they using a 2017 company stamp? Basic Scammer mistake that gives them away immediately! 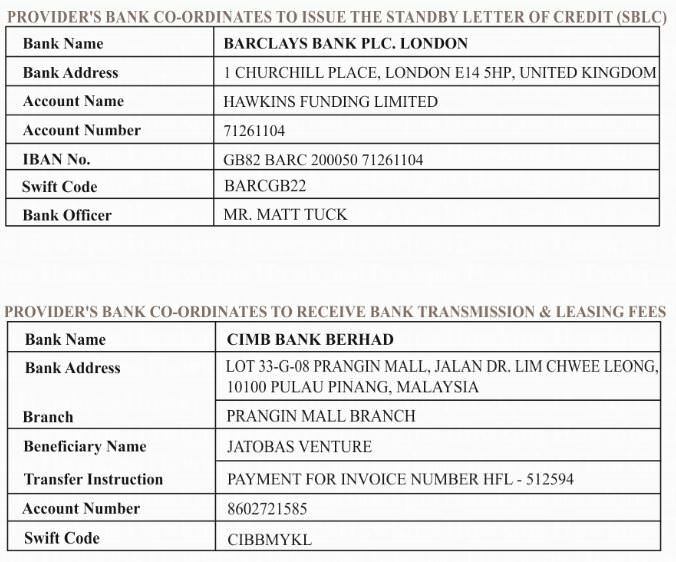 Why are Barclay London issuing the BG or SBLC but clients are being told to pay "Jatobas Venture" in Malaysia. 1+1 does not equal 57 my friends! Oh and guess what...... the Scammers from Menlo and Long island used exactly the same strategy and requested you pay exactly the same Malaysian Bank! 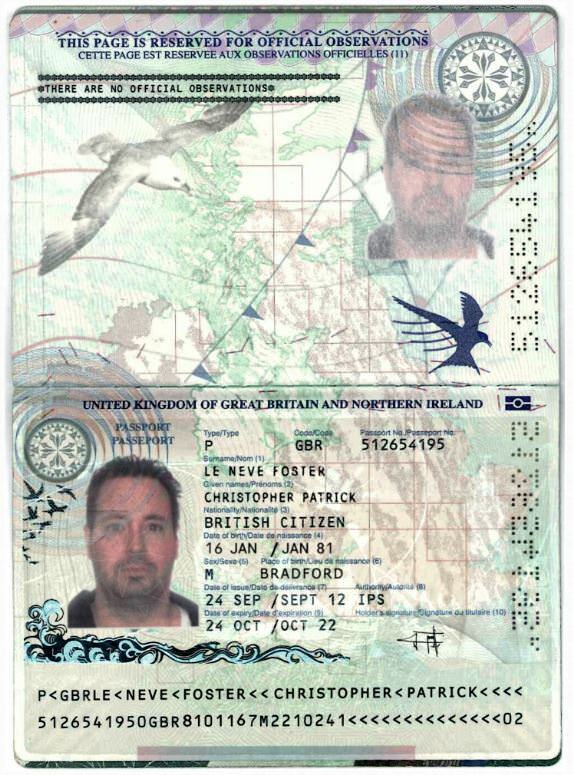 Last but not least Christopher Patrick has had his passport stolen and used on hundreds of scammer documents to try and fool innocent clients that a real reputable person was signing the scammers BG and SBLC agreement. Christopher Patrick doesn't know anything about the BG or SBLC DOA you received from Hawkins Funding. Christopher is just as much a victim of this scam as you are! 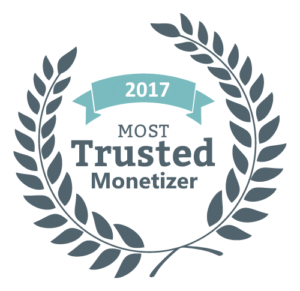 Secure Platform Funding is a reputable company that was formed in 2008 and operates the Worlds Number 1 Financial Instruments website. We are constantly amazed at how foolish and gullible people will be when scammer offers them a cheap deal that is too good to be true! 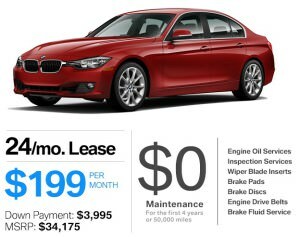 Instead of people searching for a safe, secure, quality (even if it costs a little more) company that protects your money and can consistently delivers a real result, people chase fairytales, fakes and bullshitters. Wise clients will return to conservative values and realize making good money with a quality company like Secure Platform Funding is better than losing all your money to a mirage sold to you by a scammer. Be careful, choose your friends and business partners wisely. Work with Secure Platform Funding and avoid the Scammers. Long Island Assets Limited - Scam Exposed! 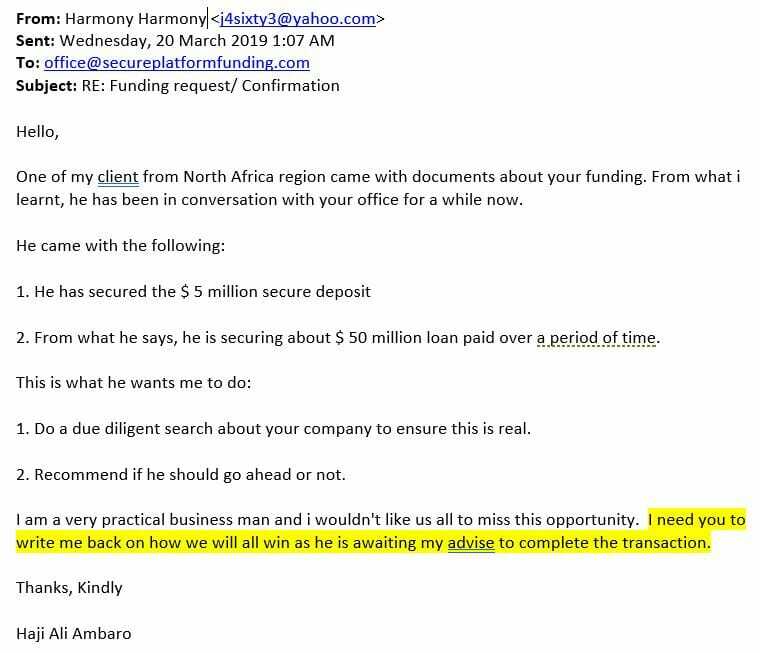 On the 2nd December 2016 Secure Platform Funding Exposed and Broadcast full details of Scammers who had Hijacked Menlo Investments Limited in the UK. Our hope was that exposing full details of this scam would save numerous more customers from getting ripped off and their money stolen. It seems our article on Menlo Investments had the desired effect and stopped the scammers in their tracks! Unfortunately on the 7th December 2016 the scammers moved their operation from Menlo Investments which Secure Platform Funding exposed to a new company Long Island Assets Limited in the UK. 2. 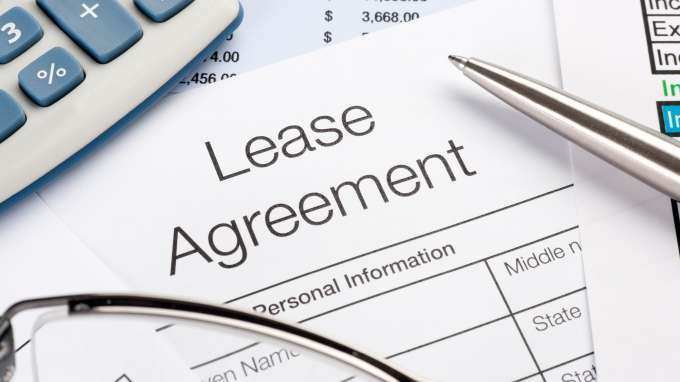 The physical address for Long Island Assets Limited is the same as Menlo Investments Limited on all documentation. 3. 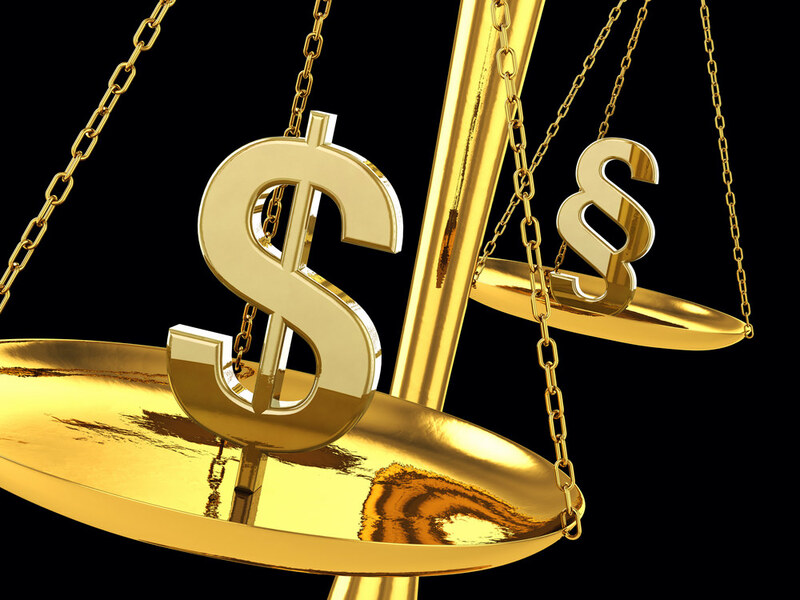 The Long Island Assets Limited Invoice asking clients to pay fees for the issuance of a Bank Guarantee or Standby Letter of Credit directs payments to the exact same Malaysian Bank, using the exact same Swift codes as Menlo Investments did! 4. The Invoice for payment of fees does not ask you to pay Long Island Assets Limited, it gets you to pay a completely different company in Malaysia, just like Menlo Investments did! 6. Companieshouse.gov.uk confirms the Company Capital for Long Island Assets Limited is only 5 Million Pounds. So they cant issue a BG or SBLC greater than 5M because that is all the capital they have! 7. Allen Labor is listed as the Notary who signed and witnessed the Long Island Assets Limited Refund Undertaking (see above) on the 29th December 2016. 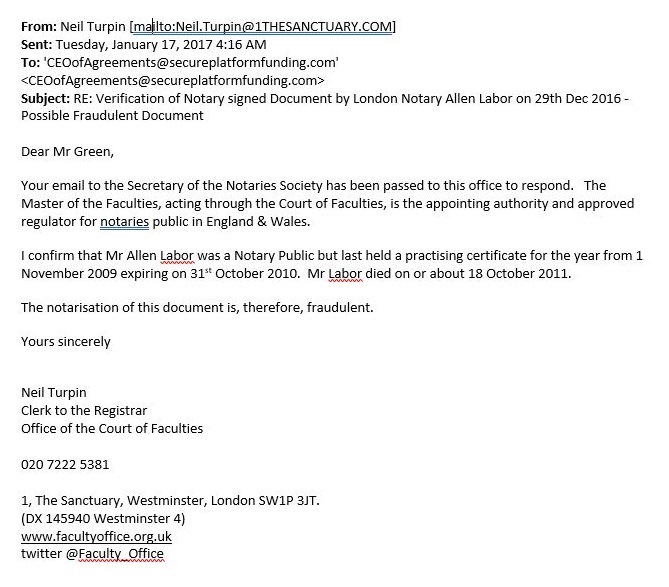 But on the 29th December Allen Labor was no longer listed as a licensed Notary in the UK because as the Notaries Clerk to the Registrar confirms below.... Allen Labor died on the 18th October 2011. 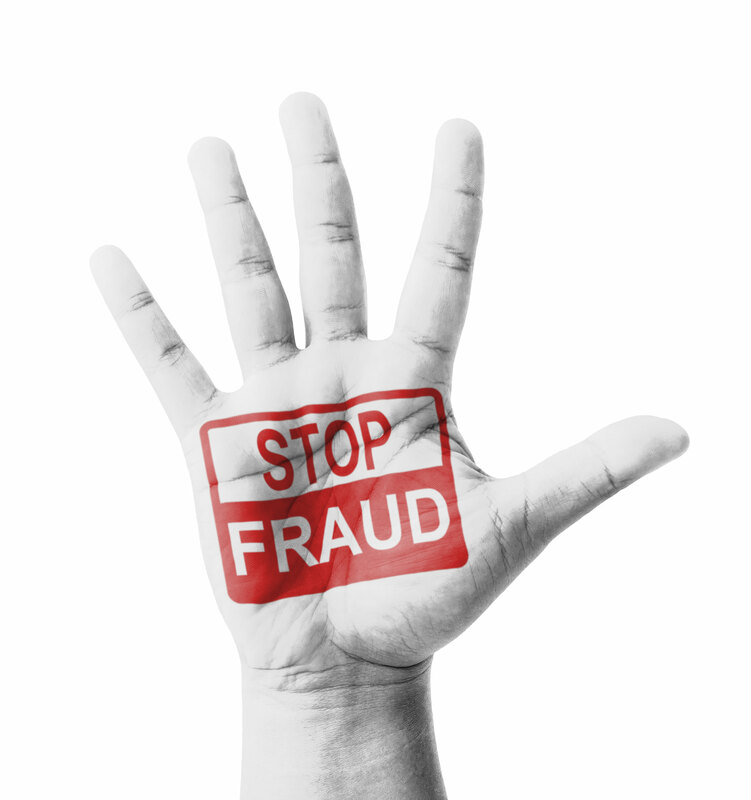 So with 100% certainty the documents provided by Long Island Assets Limited are fraudulent! 8. Ask yourself one simple question.... Why is a company Long Island Assets Limited located in the Barclays Bank building, listed an associated subsidiary company to Barclays, issuing instruments from HSBC and getting you to pay your fees to CIMB Bank in Malaysia! Answer: Because its fraud! 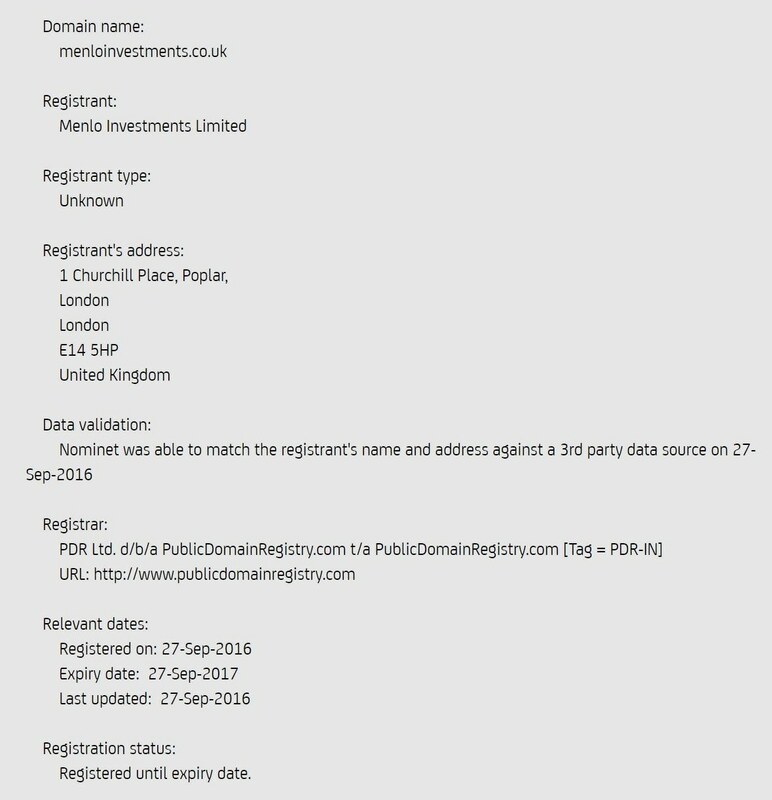 The bottom line is Long Island Assets Limited is a legitimate UK company that like Menlo investments has had its identity hijacked by scammers so they can rip off of a stream from innocent customers. 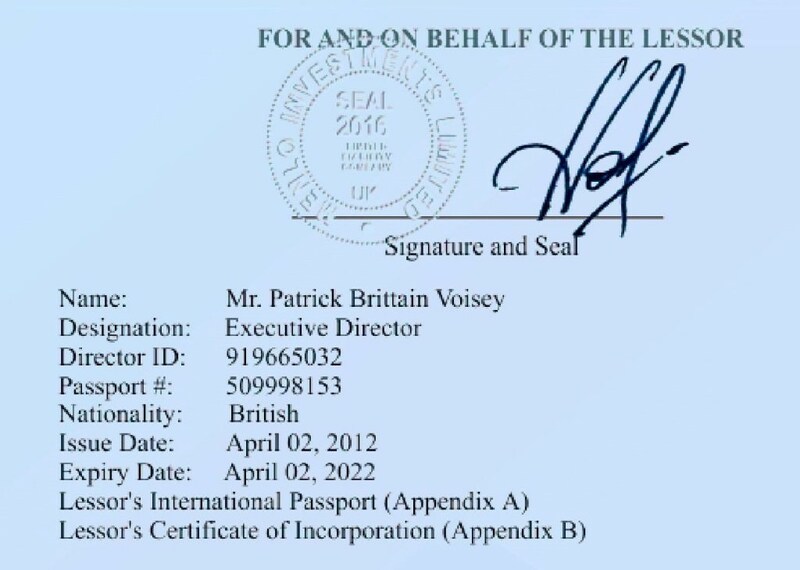 Long Island Assets Limited does not have the financial capacity to issue financial instruments and the documents being produced by the scammers using this companies identity are confirmed as false and fraudulent. If you know any one who is intending to buy Bank Guarantees (BG), Standby Letter of Credit (SBLC) or any other financial instruments from Long Island Assets Limited, tell them to avoid them like at all costs! Secure Platform Funding has been working closely with several parties who approached Secure Platform Funding asking for help to verify if financial instruments issued by Carl Edward Osias of Bass Mint Management Group operating out of Canada were real or fraudulent. 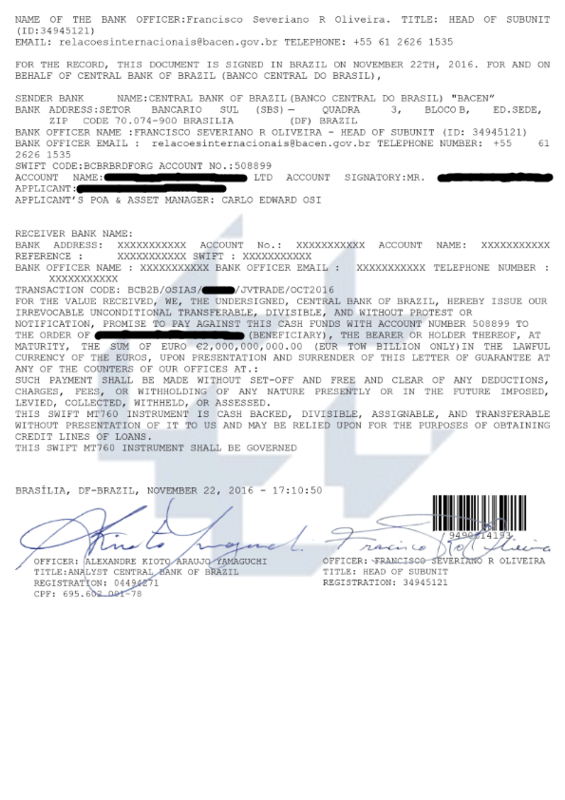 On the 14th December 2016 we were able to confirm that we have received two written confirmations from two respected Banks Fraud Departments that confirm that Banco Central Do Brasil Bank Instruments issued by Carl Edward Osias of Bass Mint Management Group are Fraudulent. Following the face to face meeting with Carl Edward Osias of Bass Mint Management Group the client sent the Bank Instrument documents supplied by Mr Osias to the Banco Central Do Brasil for verification. 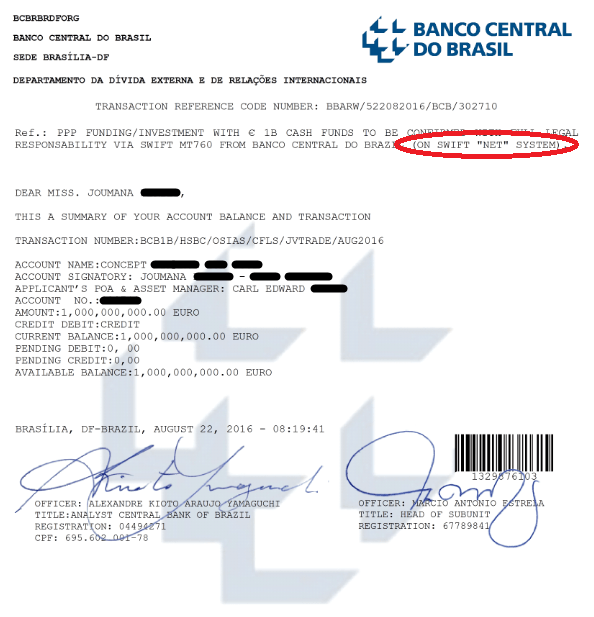 The Banco Central Do Brasils written response is below confirming all documents it received are 100% Fake and Fraudulent and they have referred the matter to the Brazilian Federal Police for Investigation. 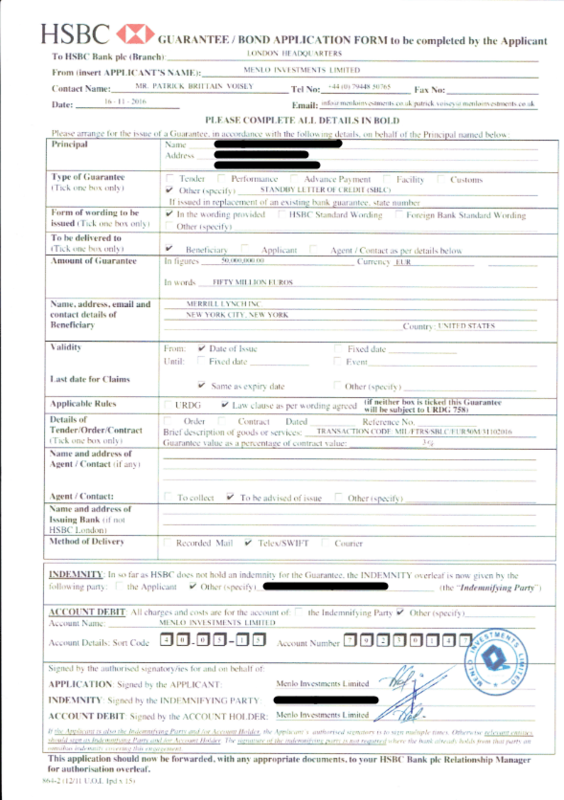 The result..... HSBC London confirmed the Bank Instrument Documents supplied by Carl Edward Osias of Bass Mint Management Group were 100% Fake and they have referred them to the London Police who have immediately launched a Police Fraud investigation into Carl Edward Osias of Bass Mint Management Group in Canada. We have redacted the clients details to protect their privacy. 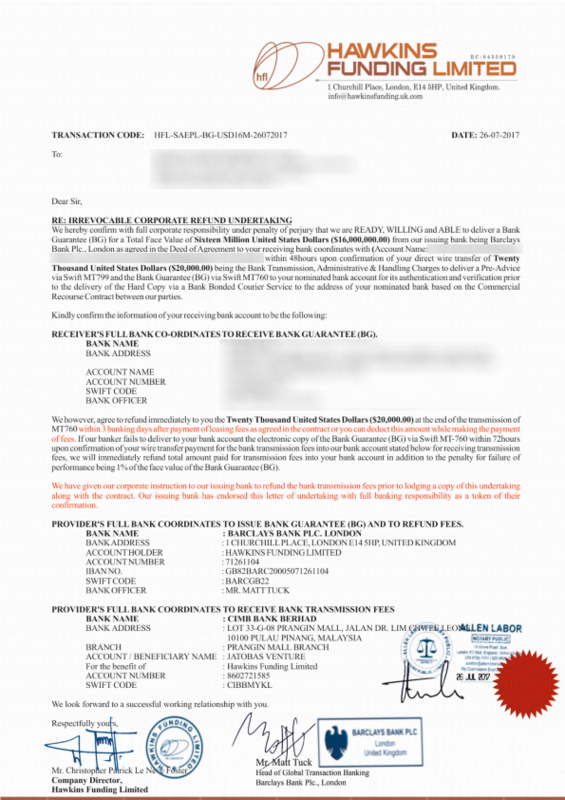 In August 2016 Secure Platform Funding posted this detailed article exposing Swift.net Fraud on Bank Instruments that were issued by Carl Edward Osias of Bass Mint Management Group. 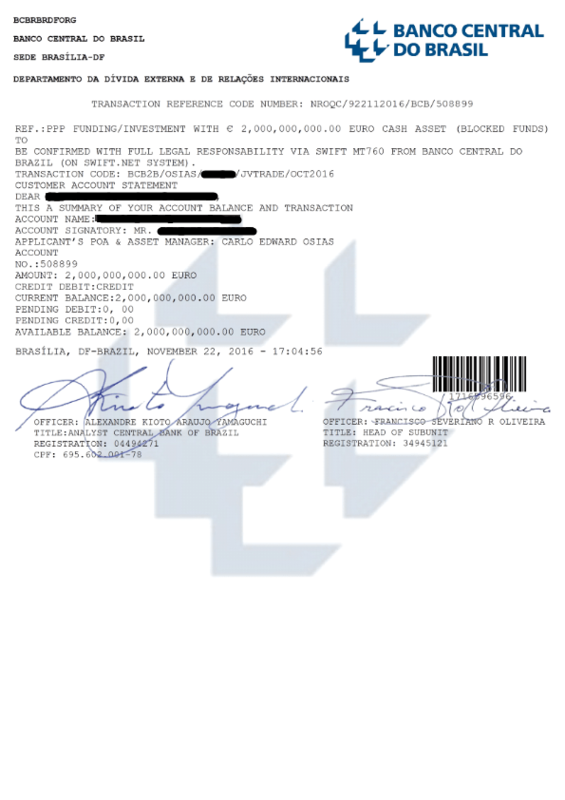 Read the full detail of the Banco Central Do Brasil Swift.net Fraud article here. 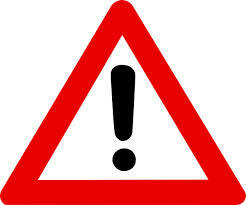 FORMAL WARNING: Any client dealing with Carl Edward Osias of Bass Mint Management Group is hereby warned this company is now formally under Police investigation for fraud by two different Police Agencies and BOTH Banco Central Do Brasil and HSBC London have confirmed Bank Instruments issued by Bass Mint Management Group are Fake. We strongly recommend any clients immediately cease any dealings with Carl Edward Osias or Bass Mint Management Group or take their own independent legal advice. Update: On 13th March 2017 we were contacted by the original client who supplied all the above evidence (including full unredacted emails and documents) to us and approved us to write this article in order to warn other investors. 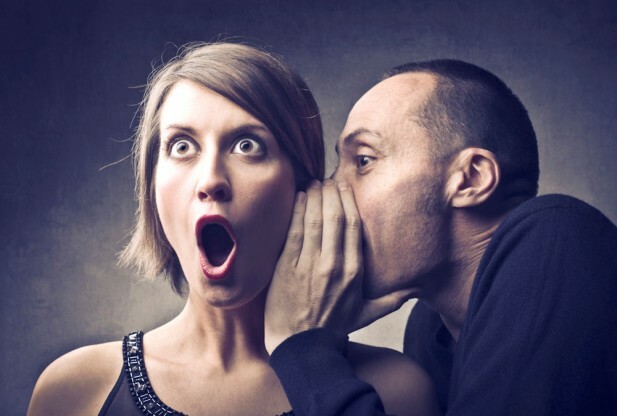 On the 13th March 2017 the client asked us to remove this article and after careful consideration we declined the clients request because the article is factual, accurate, was approved by the client previously and contains important information other clients deserve to know and we believe the clients request to us was likely made under duress. Any client who has additional information on Carl Edward Osias or Bass Mint Management Group please Contact Us here. This week a client of ours paid 250,000 Euros for WP Holding & Management (Deutschland) Ltd to deliver us a MT799 for 500 Million from Barclays Bank London , the MT799 was supposed to be followed by a MT760 so we could monetize the Bank Guarantee. 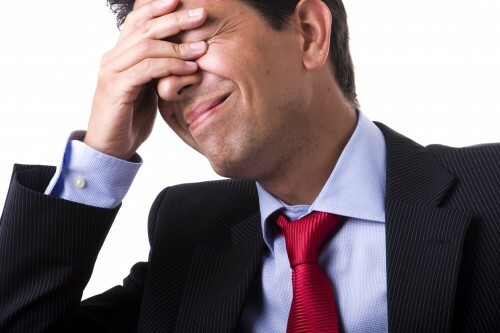 But the Problem was all the provider delivered was a fake document (made on a word processor) that they "claimed" as the MT799 that was sent on the bank swift.com network. It was never sent on the swift.com network at all! This company sent us a Fake MT799! 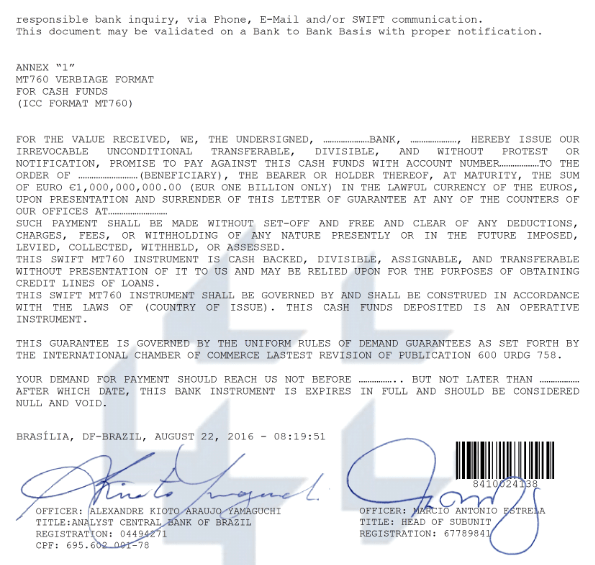 Below is the actual copy of the MT799 Swift provided by WP Holding & Management (Deutschland) Ltd that they claimed was "real". 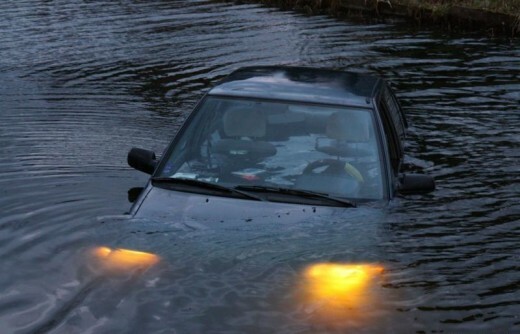 The only real thing in this swift is our banking information which we have redacted. The format of the MT799 swift is wrong! It was never sent on the swift.com network! It does not have the swift logo! It does not have the swift bar code! and there are a million other things wrong with it! 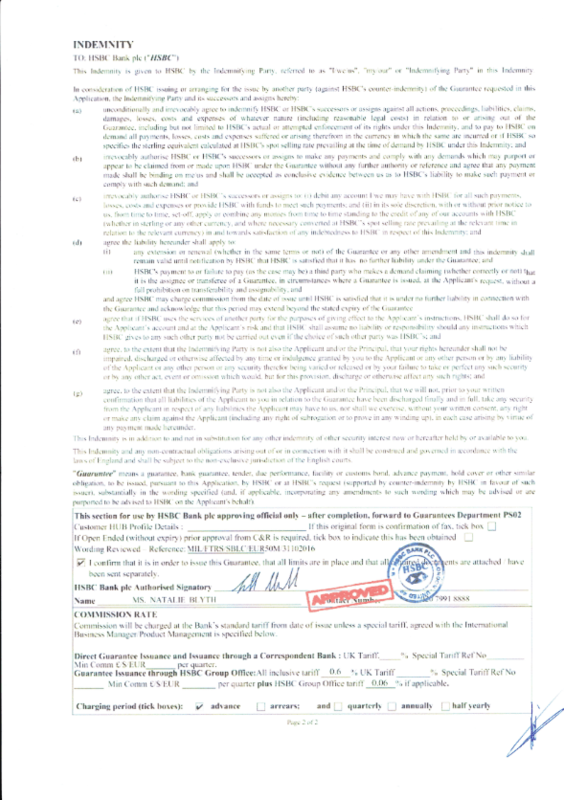 WP Holding & Management (Deutschland) Ltd provided a Swift Mt799 made on a word processor that is a very poor forgery! What was WP Holding & Management (Deutschland) Ltds Game? WP Holding & Management (Deutschland) Ltd said they were "really concerned" that the monetizer may not be able to perform so they got the client to sign an agreement where the client agreed to pay a 250,000 Euro fine if the Monetizer did not respond to BG Providers MT799! Then they sent a fake MT799 that they knew we could not respond to because it didn't exist in the swift.com network. In essence they set the client up to lose 250,000 Euro and had no intention of delivering any real bank instrument at all! 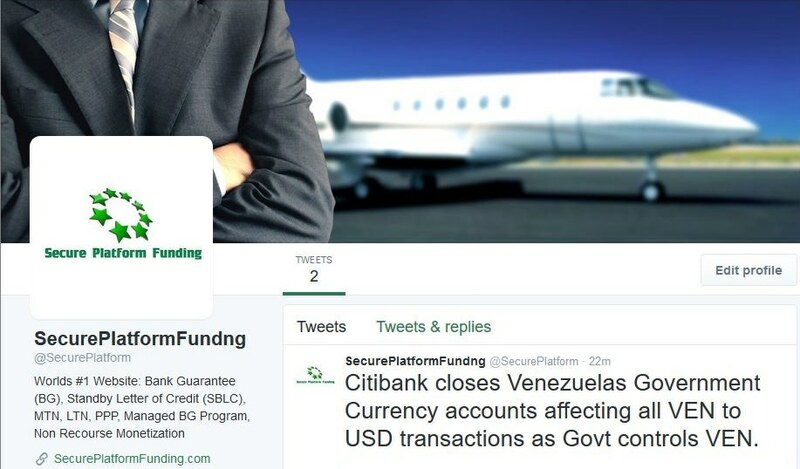 If your going to send Secure Platform Funding a Fake Swift, we are going to EXPOSE YOU! We are a Real Monetizer that makes money closing Real Deals with Real Clients and Real Providers! 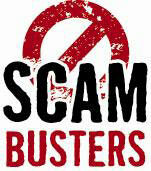 Fake providers waste our time and our customers time and money and are the scourge of the industry. 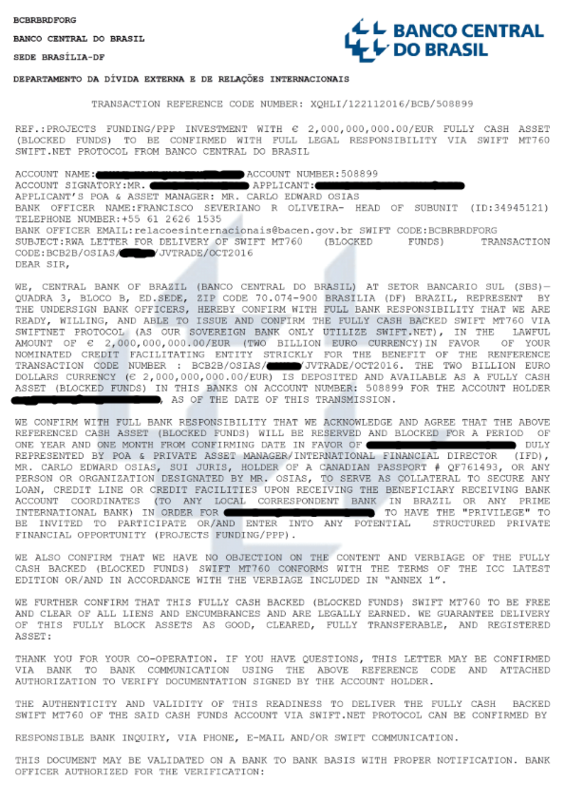 Secure Platform Funding makes money closing real deals with real customers we have zero interest wasting time on fraudulent deals so in an effort to help our clients and brokers better identify fraudulent transactions here is an example we received today of a Deal that is red hot Swift.net fraud. This is a very sneaky scam where the Bank Guarantee or Standby Letter of Credit Provider says they can ONLY deliver the bank guarantee on swift.net instead of swift.com. That statement alone is a huge red flag! ALL real banks and ALL real bank guarantees or stand by letters of credit are normally transmitted and delivered on the swift.com bank to bank system that is used and recognized by all rated banks worldwide or DTC or Euroclear. Any bank who says they cannot deliver on swift.com is saying i don't have access to the "real" bank guarantee and standby letter of credit delivery system, I can only use swift.net which is a completely different system by a very similar name. Swift.net DOES NOT HAVE ANYWHERE NEAR the credibility, recognition, security or acceptance of swift.com. 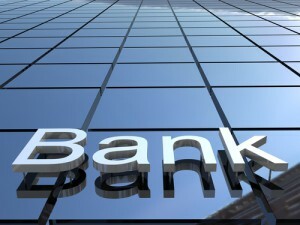 Many Providers use swift.net to send a worthless Bank Guarantees, Standby Letters of Credit or Blocked Funds to the client on the widely unrecognized swift.net service, then when no one at the clients receiving location acknowledges the message because they didn't know to download it, the bank guarantee provider claims they delivered the Bank Instrument as per YOUR Bank Instrument Supply Contract and YOU breached YOUR contract by NOT replying to the swift.net message so they are keeping your deposit. Its just another sad old scam to take your money repackaged in a new way. 2/ We also published this article titled The Blocked Funds Email Scam, the below Blocked Funds Swift.net fraud example is a hybrid of a Swift.net Fraud Scam AND the Blocked Funds Scam. The scammers seem to have taken a little from each strategy so we thought we would reward their ingenuity by exposing them! Why is this a Swift.net Fraud Scam? 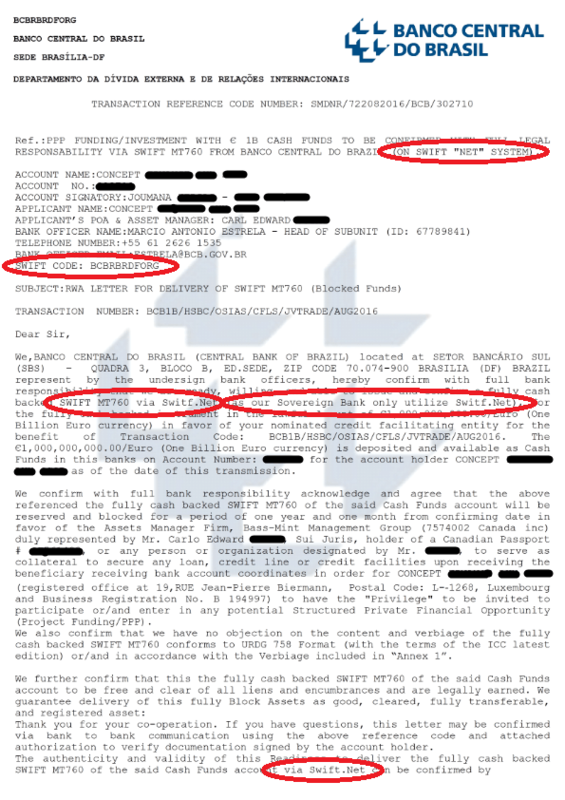 The below Banco Central Do Brasil Blocked Funds Swift.net Fraud example contains actual live documents that were received by Secure Platform Funding on the 27th August 2016 from a broker, out of courtesy for those named in the transaction documents we have redacted some information so the below detailed analysis of the documents is not too embarrassing for those that were originally named. Warning 1: Swift.net is not the primary recognized platform for major rated banks to complete 1 Billion Dollar transactions! 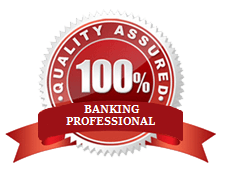 Swift.com is the internationally recognized and endorsed platform All Rated Banks utilize. Warning 2: The above transaction is listed as a Swift.net transaction but the documents contain the Swift.com SWIFT CODE: BCBRBRDFORG. So what is a Swift.com Code doing on a Swift.net Transaction? 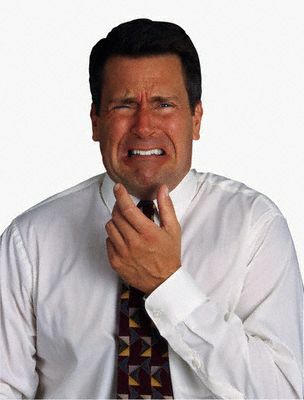 Warning 3: The words Swift.net are misspelt "Switf.net" not once but TWICE! 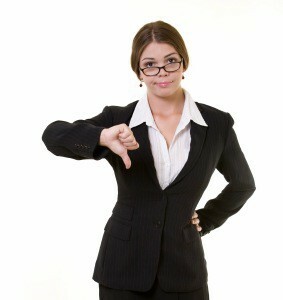 Banks don't make mistakes, there are two Bank Officers that sign off every Bank Instrument transaction. Both Bank Officers are employed to check every aspect of the Bank Instrument text before it is released. It is impossible that two different bank officers failed to see "Switf.net" spelt wrongly in the Bank Instrument text TWICE!. Warning 4: The fact that "Switf.net" is spelt wrong invalidates the entire Bank Instrument making it worthless! Maybe the instrument issuer spelt "Switf.net" wrong deliberately for that exact reason! Warning 5: The Bank Instrument text says "as our Sovereign Bank only uses Switf.net" that is a blatant lie! A) Below is confirmation from the Swift.com website that Banco Central Do Brasil has no less than 7 Different Swift Codes on Swift.com that the bank uses every day for thousands and thousands of transactions. It is completely untrue to state that the Banco Central Do Brasil "only uses Switf.net" when clear public evidence exists BOTH on Swift.com and Banco Central Do Brasils own web site that disproves this. B) Banco Central Do Brasil isn't a little bank, it is the Central Bank of Brazil that controls the entire Brazilian economy! To say that the Central Bank of Brazil controlling billions of dollars of the Brazilian Economy doesn't work on any other bank transaction network apart from Swift.net is total lunacy! The above Bank Instrument is as fake as a $3 Bill! Our strongest recommendation is that if you have a real client with with a real transaction make sure that transaction is completed on Swift.com, Euroclear or DTCC. Swift.net has too much fraud associated with it for any bank to want to complete a significant Bank Instrument transaction using that network. Secure Platform Funding ONLY wants to complete genuine transactions, our Compliance Department screens out a ton of fraudulent deals every week. 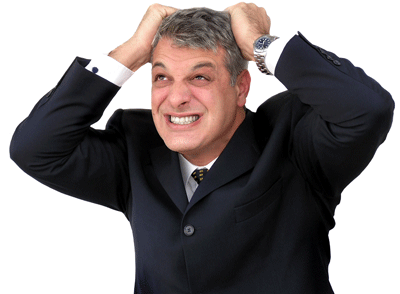 Fraudulent deals hurt clients, waste time, damage supplier relationships and cost money. 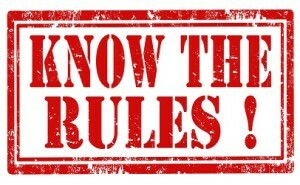 We hate them and that's why we wrote this detailed article exposing the Swift.net Fraud that exists and encouraging our clients and brokers to stay well away from it. Be informed and be safe. 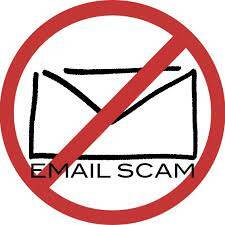 The Blocked Funds Email Scam is common in the industry on an all too regular basis! The Blocked Funds email scam is when..... A customer "claims" to have a large amount of blocked funds in their account at their own bank and the customer wants to send a blocked funds confirmation email from banker to banker (from their Issuing Bank to the Receiving Bank) to confirm the blocked funds in his account and have the Receiving Bank accept the confirmation email as "real" and allocate his blocked funds email amount into a PPP (Private Placement Program) at the Receiving Bank. 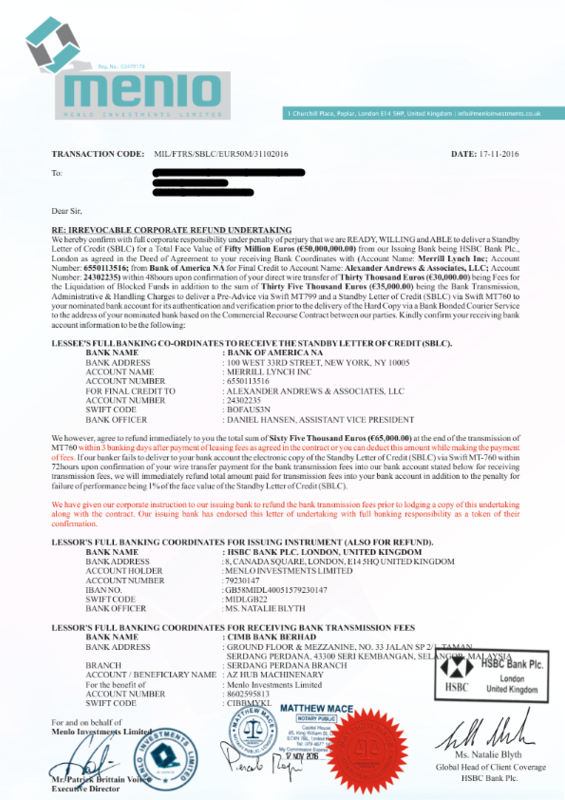 Often preceding the Bank to Bank email or attached to the email is an "Official" Bank Letter confirming the Blocked funds on the Issuing Banks Letterhead. This is a complete Scam! But a very sophisticated Scam! 1/ The Scammer simply Forges a Bank Letter or a Bank Statement showing he is Funds in his Issuing Banks account that can be blocked and that his bank is ready to confirm the Blocked Funds by Banker to Banker email. 2/ The Scammer then and spoofs an email address from the Issuing Bank and sends the Blocked Funds confirmation Banker to Banker. Email Spoofing is when you send an email pretending to be someone else. 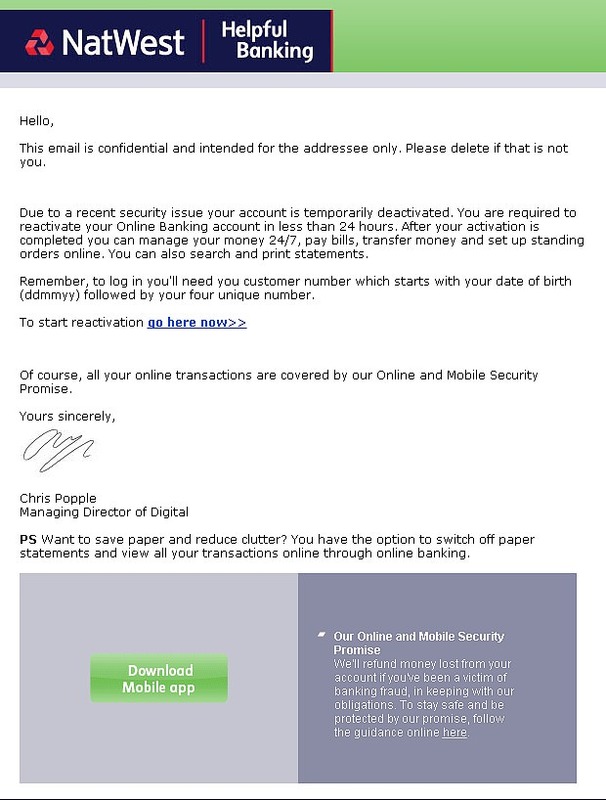 There are a million ways to Spoof a banks email address, it is commonly done for phising scams as illustrated in the fake NatWest Bank phising email scam below. Here are a few clues on how scammers Spoof Emails impersonating someone else. 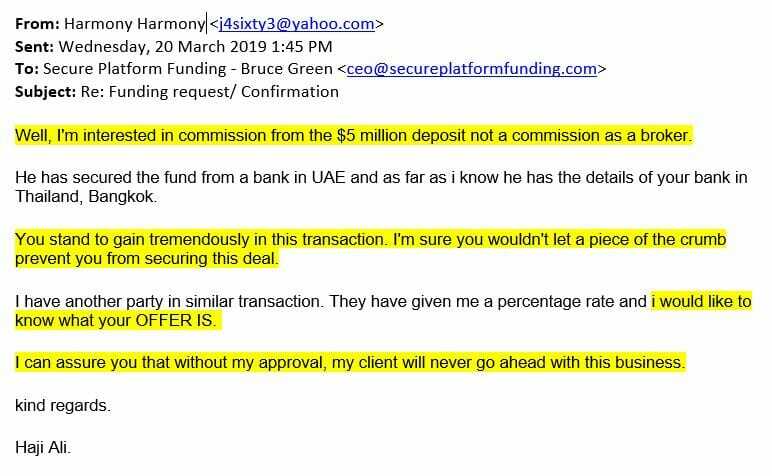 The Danger of this scam is the Receiving Bank genuinely gets a real email from the Issuing Bank confirming they have blocked the clients funds (which don't exist) and approving the Receiving Bank to use the Blocked Funds in PPP! The biggest issue is email spoofing has become so sophisticated that often there is no way for the Receiving bank to know the email is not genuine or real and is actually sent from a scammer not from the Issuing Bank! 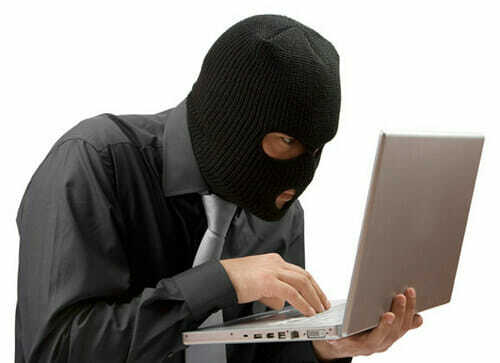 Scammers have also got so smart that the good ones now include a phone number on the bank email and bank letter using the same area code as the regular bank phone numbers but when you ring the scammers bank phone number it diverts to the scammers cellphone without the Receiving Bank Officers knowing. 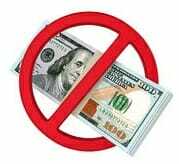 No Bank will now accept Blocked Funds notifications by email, none! Anyone asking for Blocked Funds to be transmitted by email is never going to be successful. If a client can not confirm his Blocked Funds by Bank to Bank Swift Mt799 or Mt760 then there is a VERY HIGH likelihood the client is fraudulent. 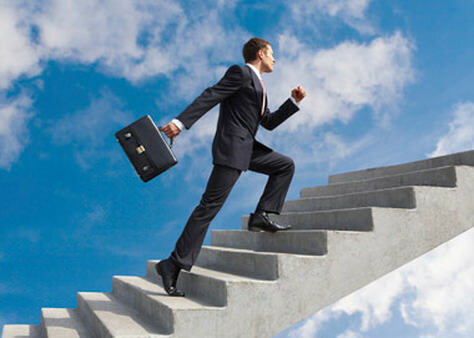 Secure Platform Funding operates a successful Blocked Funds Mt799 Program where the ONLY Blocked Funds Confirmation we accept is Bank to Bank Swift Mt799 or Mt760. Secure Platform Funding is solely interested in doing Real Deals with Real Clients who want Real Results and can send Blocked Funds Confirmations by Real Swift, nothing else is safe or acceptable. Our Compliance Department has this week Approved a specific customized Package for Banco Central do Brasil / Central Bank of Brazil & Banco do Brasil / Bank of Brazil Monetization of Bank Guarantees (BG) and Standby Letters of Credit (SBLC). 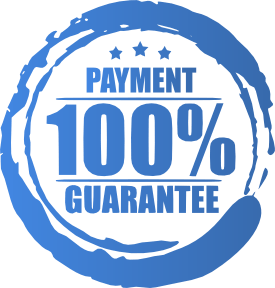 This Special Monetization Program will monetize 500M (Five Hundred Million) USD or Euro, Leased or Owned Bank Guarantees (BG) and Standby Letters of Credit (SBLC) with Non Recourse Funding. Banco Central do Brasil / Central Bank of Brazil was founded in 1964 and is the principal monetary authority in Brazil. It received this authority when it was founded by three different institutions: the Bureau of Currency and Credit (SUMOC), the Bank of Brazil (BB), and the National Treasury. Banco do Brasil / Bank of Brazil was founded in 1808 and is the largest Latin Bank by Assets and the oldest active bank in Brazil. Banco do Brasil / Bank of Brazil is controlled by the Brazilian government, has 111,547 employees, has branches in over 20 countries and total assets of over half a Trillion dollars. The reality is Brazil is in the worst Recession since the 1930s, the Brazil economy contracted 3.8% in 2015 and shrank 5.4% in the first quarter of 2016 alone! 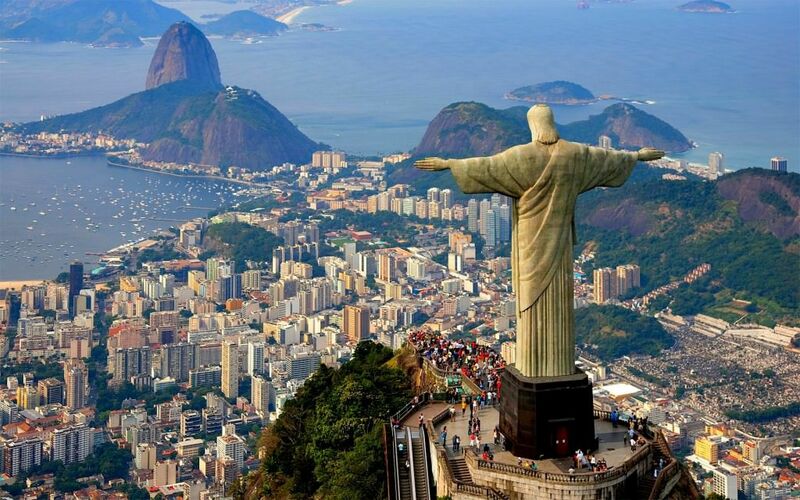 The economic recessional coupled with Brazils Political turmoil has NOT made Banco Central do Brasil / Central Bank of Brazil or Banco do Brasil / Bank of Brazil Monetization of Bank Guarantees (BG) and Standby Letters of Credit (SBLC) very attractive. 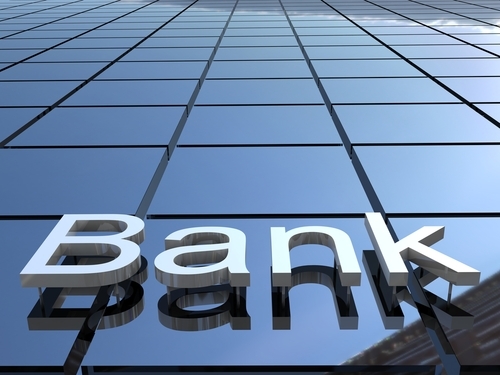 However despite all of Brazils challenges, and the fact that many of the issuers of Banco Central do Brasil / Central Bank of Brazil and Banco do Brasil / Bank of Brazil Bank Guarantees (BG) and Standby Letters of Credit (SBLC) require a significant payment for the instrument within 2 days of its delivery by SWIFT MT760, we have worked hard and have a real authentic approved Banco Central do Brasil / Central Bank of Brazil and Banco do Brasil / Bank of Brazil Monetization solution! 20% 10 days after MT760 delivery less 1.4 Million Euro already paid. Special Note: This Banco Central do Brasil / Central Bank of Brazil or Banco do Brasil / Bank of BrazilMonetization Program only accepts 500M (Five Hundred Million) USD or Euro Bank Guarantees (BG) or Standby Letters of Credit (SBLC) only. Monetization Terms and Structure and Non Negotiable. To commence Monetizing a Banco Central do Brasil / Central Bank of Brazil or Banco do Brasil / Bank of Brazil Bank Guarantee (BG) or Standby Letter of Credit (SBLC) please complete our Monetization Application here and email it to us. 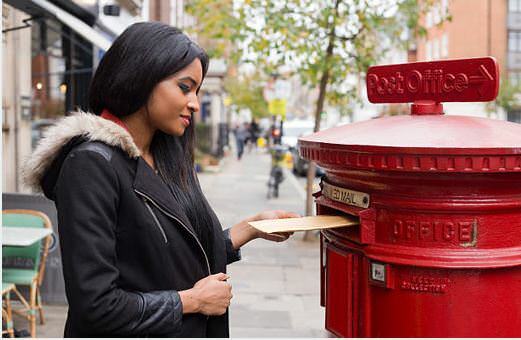 Every week we are bombarded with inquiries from Importers and Exporters who are seeking Documentary Letters of Credit (DLC), Letters of Credit (LC) or Standby Letters of Credit (SBLC) so they can guarantee the payment of goods they have ordered from overseas suppliers without prepaying cash for the goods months before they arrive in the country or can be sold or used. 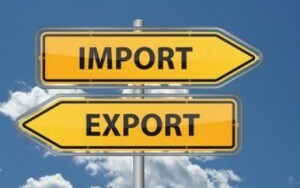 We are pleased to announce we have listened to our clients and Secure Platform Funding now provides Bank Instruments (DLC, LC and SBLC) specifically for for the Import Export industry. 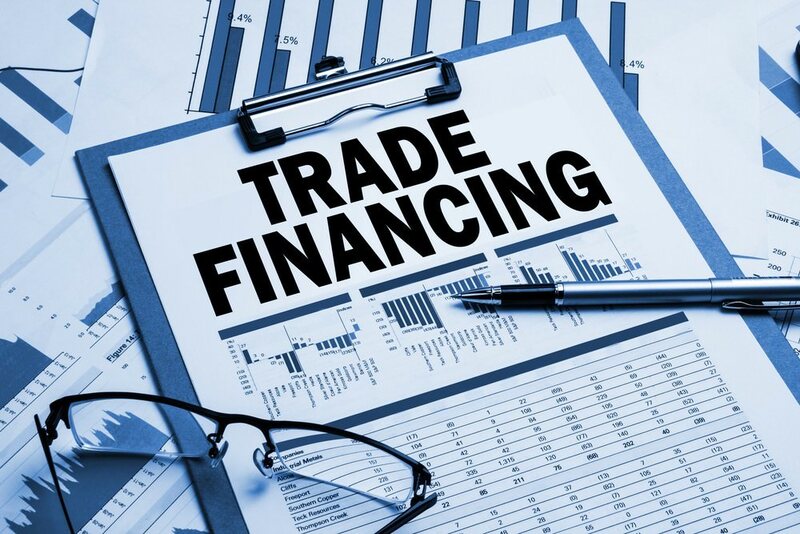 All Importers and Exporters can get customized Documentary Letters of Credit (DLC), Letters of Credit (LC) or Standby Letters of Credit (SBLC) to guarantee payment for their specific orders. We will supply DLC, LC or SBLC for as Low as $50,000 USD, and for as High as the Importer or Exporter needs. 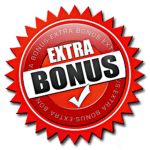 We will supply DLC, LC or SBLC for as Shorter time period as 30 days and for as Long as 2 or 3 years if needed. 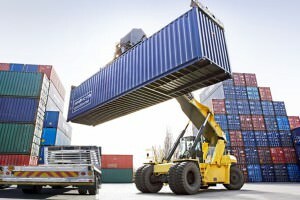 Each DLC, LC or SBLC can have the bank assets text customized to the Importer and Exporters requirements ensuring the right size, term and text of the DLC, LC or SBLC so that the asset we supply fits perfectly for each clients unique application and order. Important: These DLC, LC or SBLC are specific Bank Instruments to be used as payment guarantees for Importers and Exporters. They are not monetizable, if you want monetizable Bank Guarantees (BG) or Standby Letters of Credit (SBLC) please view the BG/SBLCs menu on the front page of our web site. 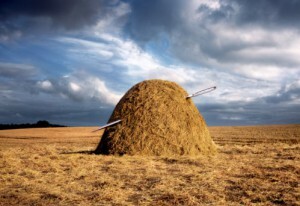 BOOM....The Swift MT799 Blocked Funds Program is now Live! 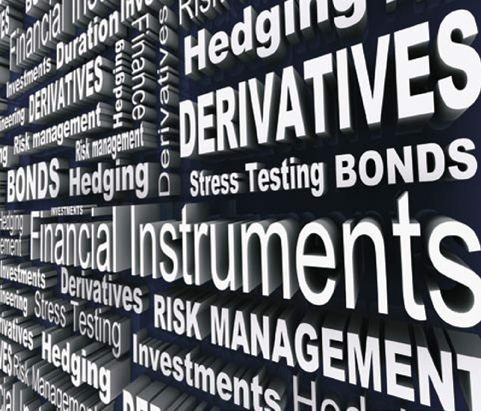 The Swift MT799 Blocked Funds Program is the perfect blend of security of funds and healthy high Private Placement Program (PPP) returns. 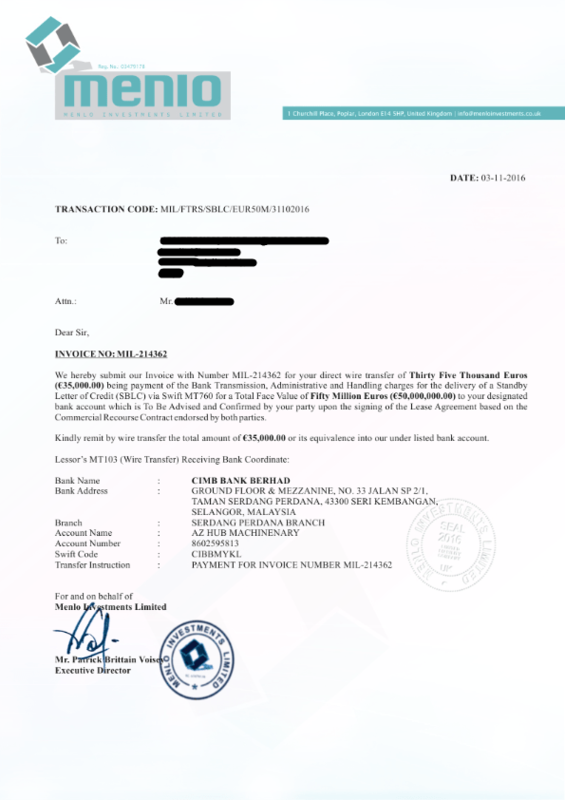 Now clients with over 10 Million Dollars USD in the bank, can retain their own funds in their own bank and have their bank send our Private Placement Program (PPP) a Swift MT799 Admin Hold confirmation. The Admin Hold must stay in place for 6 or 12 months. Our ingenious PPP Program then receives the Swift MT799 Admin Hold confirmation and generates monthly high Private Placement Program Returns. Its safe, fast, effective, and delivers superb results! 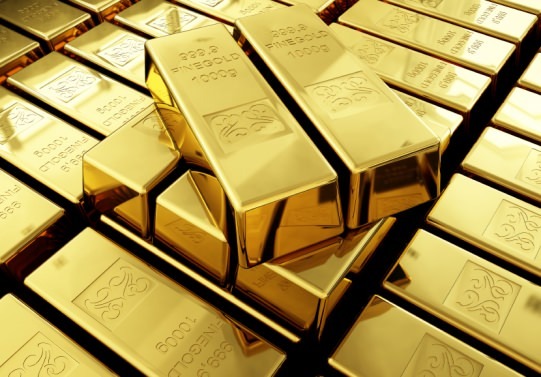 The Swift MT799 Blocked Funds Program details are here, we have included detailed explanations of the Blocked Funds Program and our Private Placement Program as well as the Blocked Funds Application Form for client to download. Lessons Learned From The Panama Papers... Why were the Wealthys Secrets Exposed? Edward Snowden called it: "The Biggest leak in the history of data journalism!" 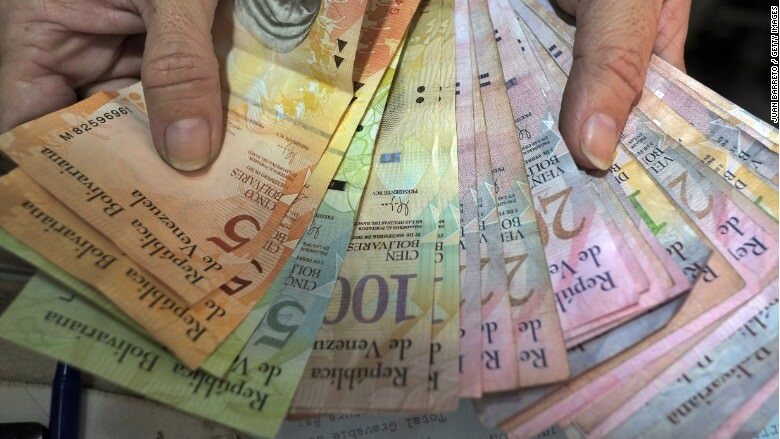 The electronic hacking of Panama Law Firm Mossack Fonscesa and subsequent release of 38 years of 11.5 Million documents from 214,000 offshore companies owned by some of the worlds rich, powerful and elite in over 200 countries is mindblowing! 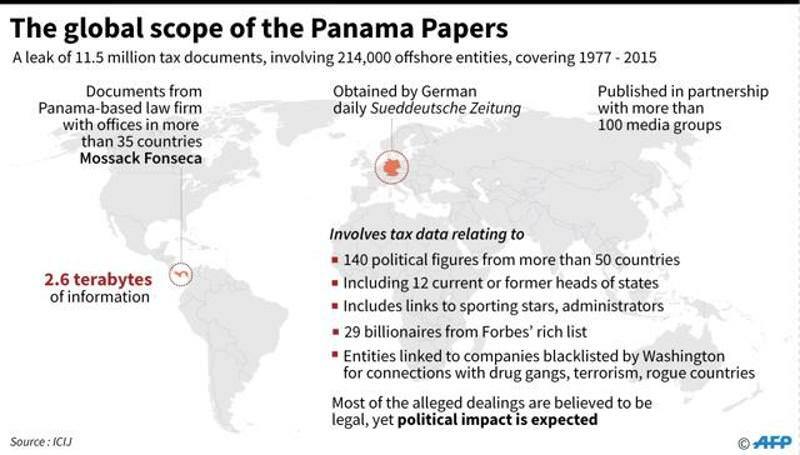 The far reaching effects of the Panama Papers will have MASSIVE consequences for the individuals involved who have had their private financial affairs made public simultaneously by over 100 world news organizations. No one cares that the data was stolen, no one cares that peoples confidential asset holdings, transactions, bank accounts and business that were all supposed to be private are now public and being debated by newspapers, radio and TV. No one is talking about an investigation into who stole the data, they are only talking about investigations into the celebrities, sports stars, TV Stars, politicians and billionaires who are featured in the data! The list of names who have had their privacy breached is the whos who of global power players..... 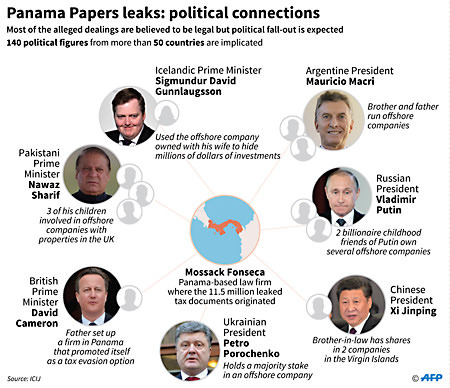 The media frenzy is inexhaustible and the hugely damaging financial effects of the Panama Papers disclosure will be significant for the all parties involved. Many will incur significant financial losses because their confidential business structures have in an instant become public! There will be lawsuits, costs in establishing and moving assets to new safer private structures, damaged reputations and a myriad of other consequences and fallout. So why are we discussing this on our website? Why is the Panama Papers relevant to Secure Platform Funding? Mossack Fonscesa web site http://www.mossfon.com/ was not encrypted and did not use HTTPS. Secure Platform Funding values the privacy of client transactions and offers all clients communication by encrypted email here and recommends all client get a free encrypted protonmail account. On top of that Mossack Fonscesa did not even use secure email servers. 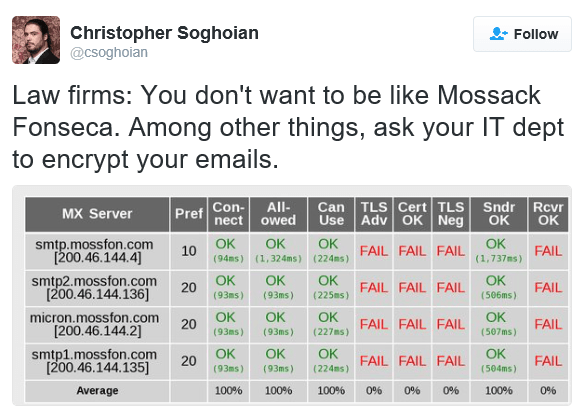 ACLU privacy and encryption expert Christopher Soghoian ran the test below on Mossack Fonscesa email servers and found them completely insecure! Mossack Fonscesa's website was peppered with security holes including the fact they used an old outdated version of WordPress that was known to contain some security vulnerabilities. Secure Platform Fundings website automatically installs and applies the latest security patches and updates, we want to fully protected and on the cutting edge of security defense for our clients. The Mossack Fonscesa Customer Portal was most likely run on a three-year-old version of Drupal, 7.23. That platform has at least 25 known vulnerabilities at the time of writing, two of which could have been used by a hacker to upload their own code to the server and start hoovering up data. Back in 2014, Drupal warned of a swathe of attacks on websites based on its code, telling users that anyone running anything below version 7.32 within seven hours of its release should have assumed they’d been hacked. That critical vulnerability may have been open for more than two-and-a-half years on Mossack Fonseca’s site. Secure Platform Funding does not operate a Online Customer Portal we keep the segregation of our web site and client data complete separate! Mossack Fonscesa seems to have had ZERO Hard Drive or database encryption. If Mossack Fonscesa's client files were held on a secure encrypted server with standard password and encryption protections then there would have been nothing for the hackers to steal! It seems incredible that 38 years of records lay around the office, unprotected and unencrypted in this modern day. The very worst thing of all is Mossack Fonscesa didn't even know that had been hacked and had 2.6TB of data stolen! It is mindblowing that in early April Mossack Fonscesa said they had a privacy breach of a "limited" number of clients. There is NOTHING limited about 38 years, 214,000 companies, emails, photos, passports, PDF files and other documents, this was a massive hack. 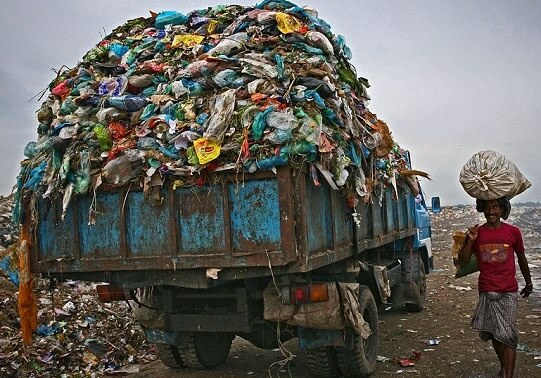 The sad truth is Mossack Fonscesa had no idea what had been stolen and anyone that has downloaded 2.6TB of data knows that it takes a very long time to be able to access and move that volume of data. This was quitepossibly the worlds longest hack with data being siphoned off from Mossack Fonscesas servers over months not days or weeks.... and Mossack Fonscesa did not even know! The icing on the cake is Mossack Fonscesas web site boasting "Mossack Fonscesa has always provided our clients with the most secure technology available". 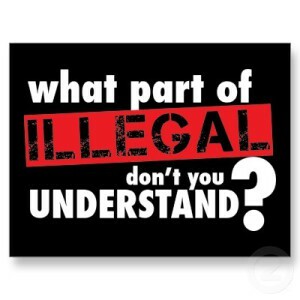 Sadly now 214,000 company owners know that is NOT TRUE! When you are dealing with peoples wealth, you are dealing not with their money but with their lives, their reputations and their right to privacy! Every person that handles an individual or companies personal and financial data needs to take all necessary precautions to honor the information he has been entrusted with and protect it. The Mossack Fonscesa data theft should never have happened! They handled the financial affairs of some of the most powerful and prominent people on the planet, their clients had a right to expect they would be protected, they had a right to privacy and they had a right to expect some of the large fees Mossack Fonscesa charged would be invested to protect their data. 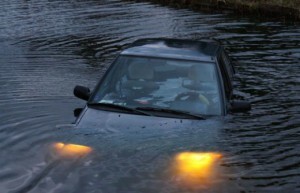 Clients of Mossack Fonscesa were horribly let down because of laziness and Mossack Fonscesa's failure to treat client data security with the priority, attention, and urgency it deserved. You only get one chance to do things right, Mossack Fonscesa blew their chance! 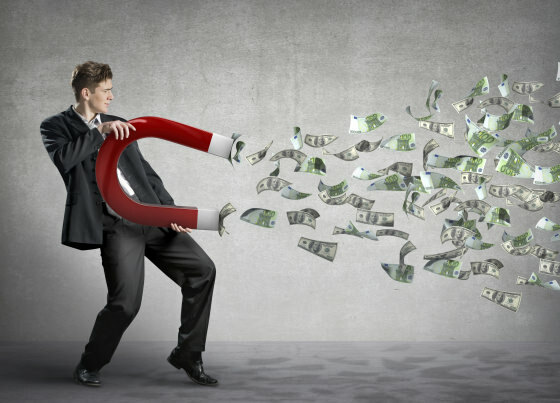 At Secure Platform Funding we are focused like a laser on security, protection, encryption and defending clients privacy. 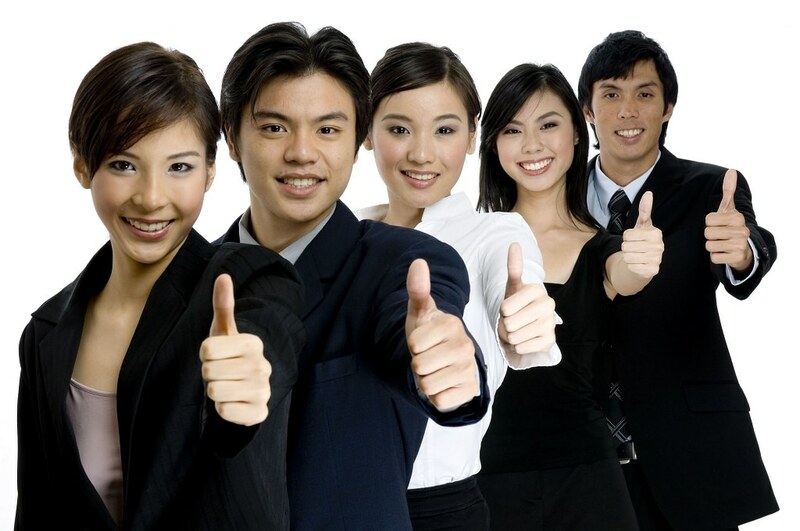 Our business recognizes that our success depends on our clients confidentiality and security. We might be a little bit fanatical about the layers of protection we put in place to protect clients data, but we would rather be guilty of doing too much, than guilty like Mossack Fonscesa of doing too little! 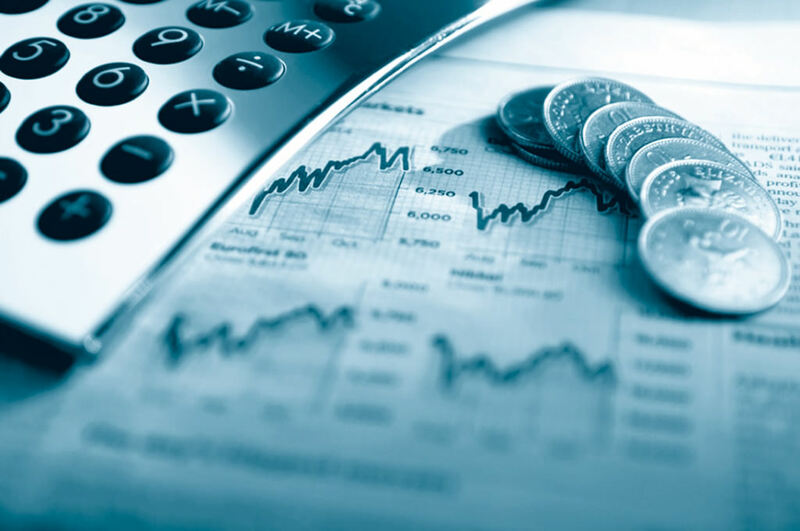 We want clients, brokers, banks and finance companies to deal with us in confidence knowing that we understand the value of their relationship has to our business and we match that value with how we protect, defend and nurture client data. 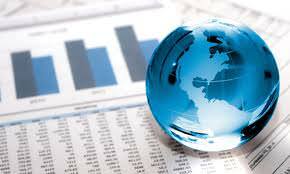 If you don't want to appear on the next 6pm TV News Headline which features he next big list of hacked financial records, then..... use Secure Platform Funding, we have your back, we understand the importance of your privacy and we have done everything possible to minimize your risk and protect your integrity. Peace of mind is priceless! 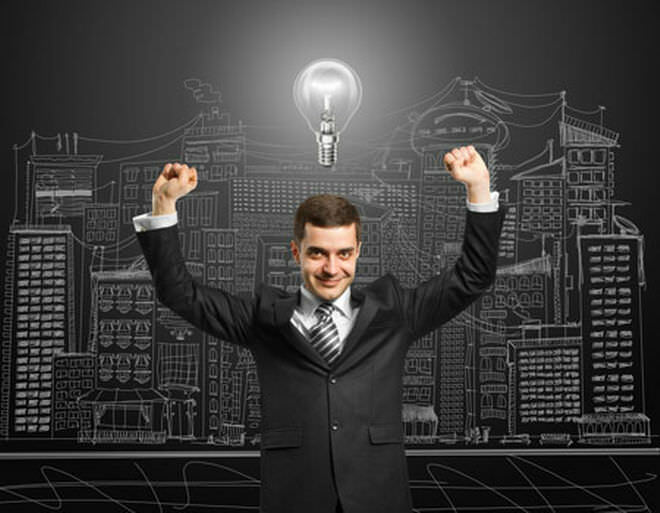 Use Secure Platform Funding with Confidence! 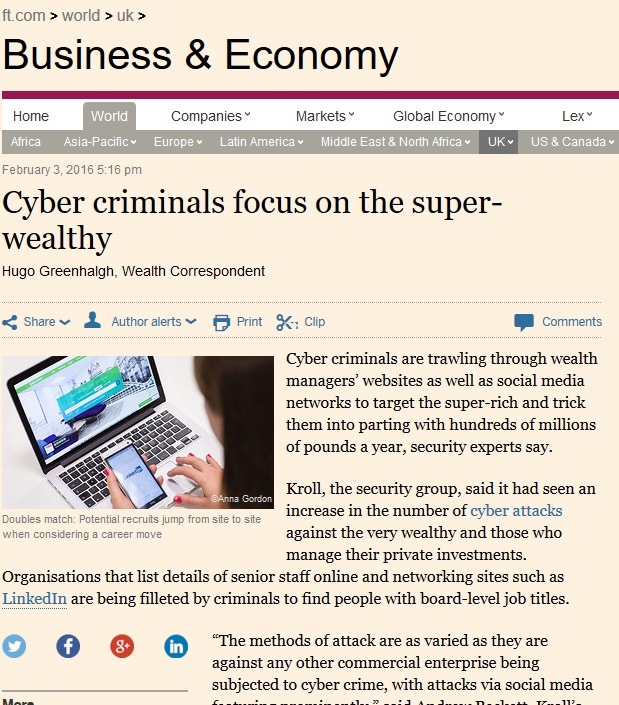 This week JP Morgan Bank announced they are spending Half a Billion Dollars on Cyber Security to protect their customers privacy and bank accounts, at the very same time this article Cyber Criminals focus on the Super Wealthy appeared in the Financial Times (ft.com) and details how Cyber Criminals are specifically going after and targeting the Super Wealthy to strip them of their wealth and safety. This is exactly why Secure Platform Funding places so much emphasis on the protection of client transactions, privacy, and the use of secure encrypted communications. 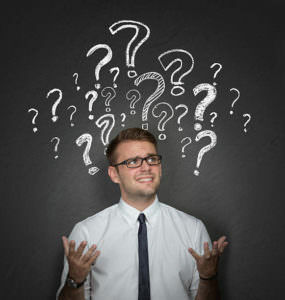 Just ask yourself.... Why would i trust a broker I don't know, who uses a gmail email account and give him all of your most sensitive intimate financial information? That makes no sense! 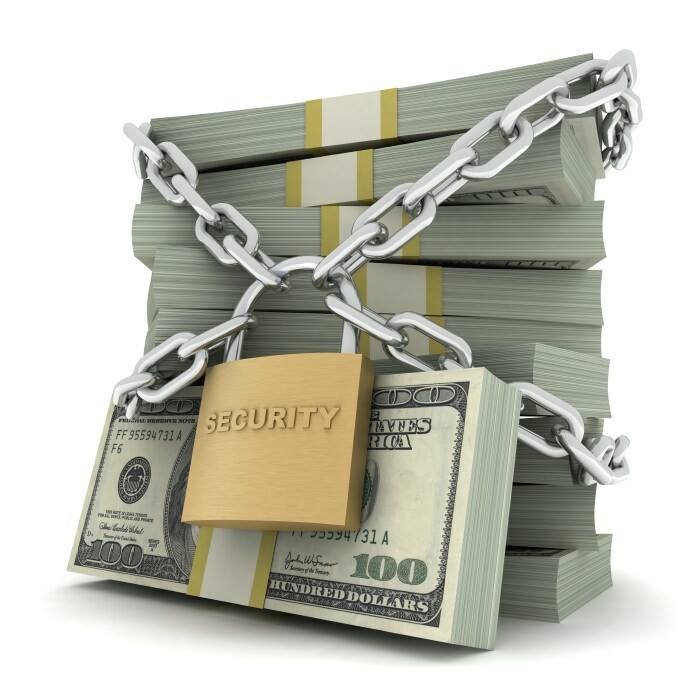 Your Security matters to Secure Platform Funding! 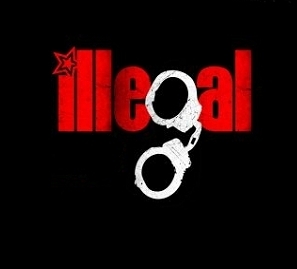 Our entire business has been established to give you the best privacy and protections available. When it comes to financial instruments (BGs, SBLC, MTN, LTN), no other service provider offers more information, more services, more security and more privacy than Secure Platform Funding. 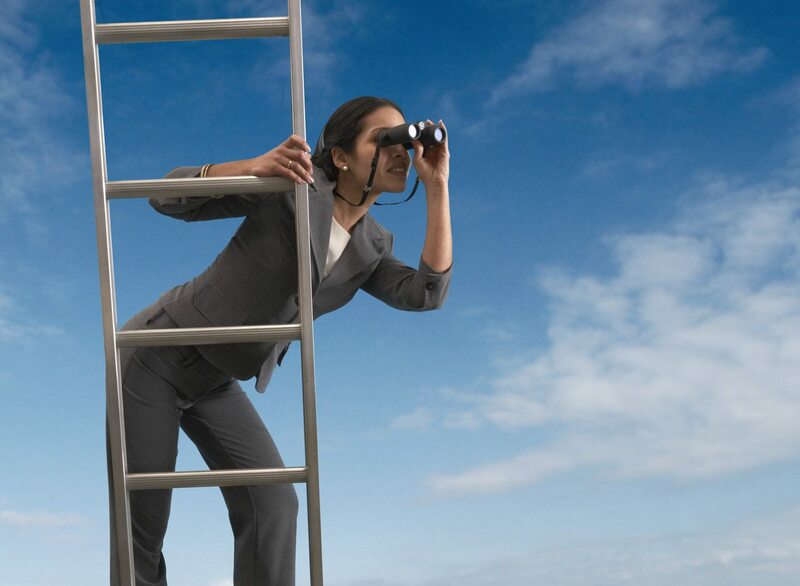 Use the company you can trust with your future, not the company you cant!